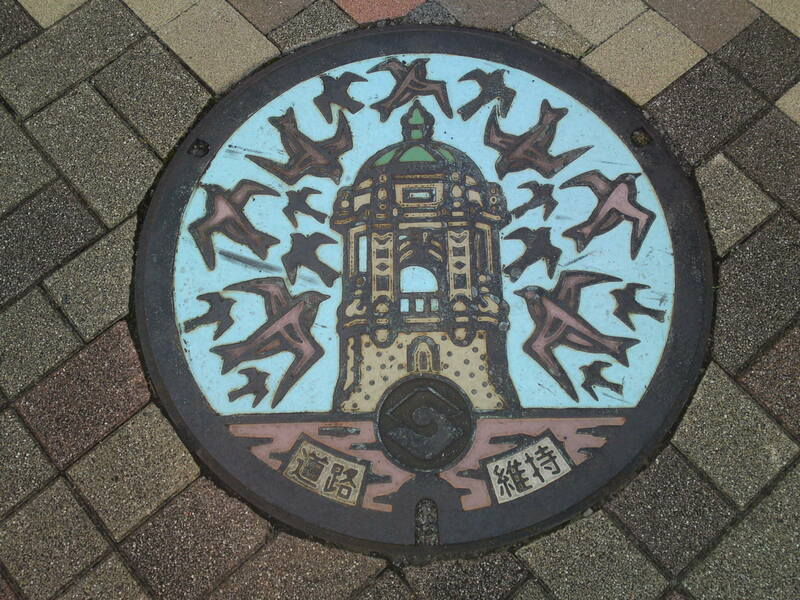 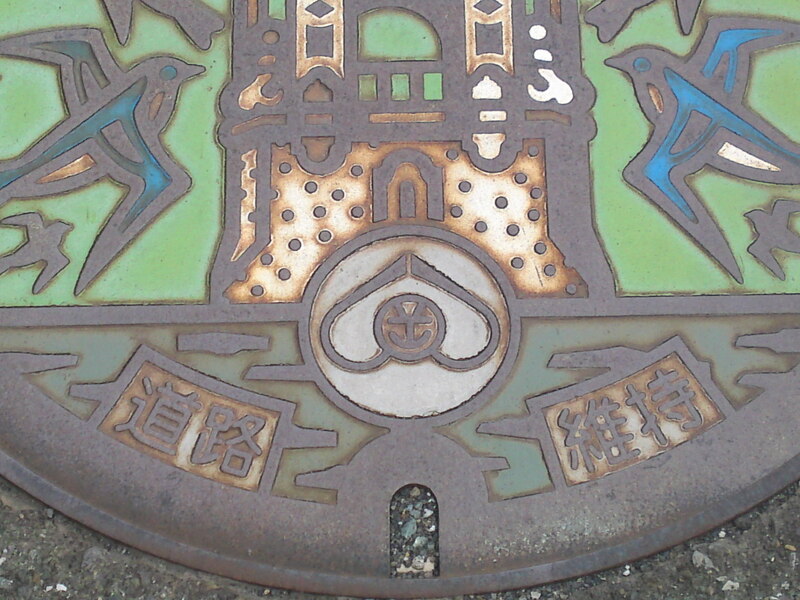 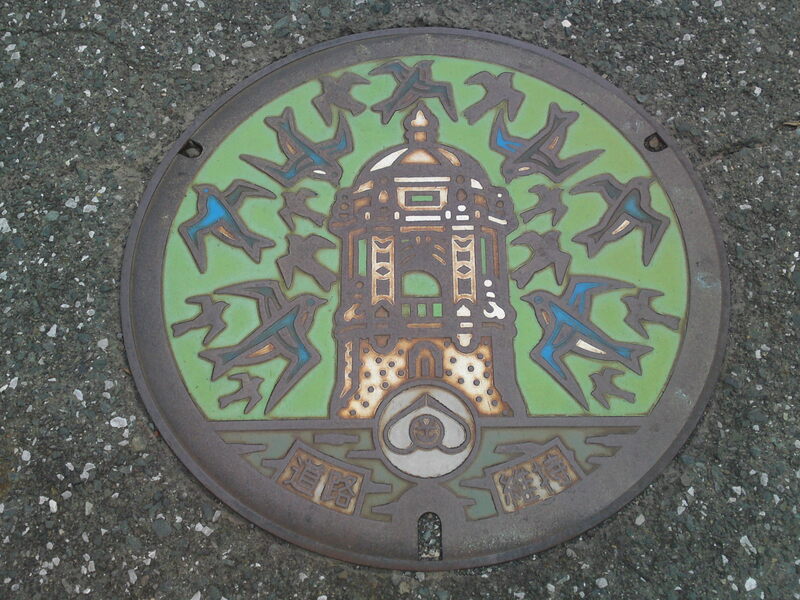 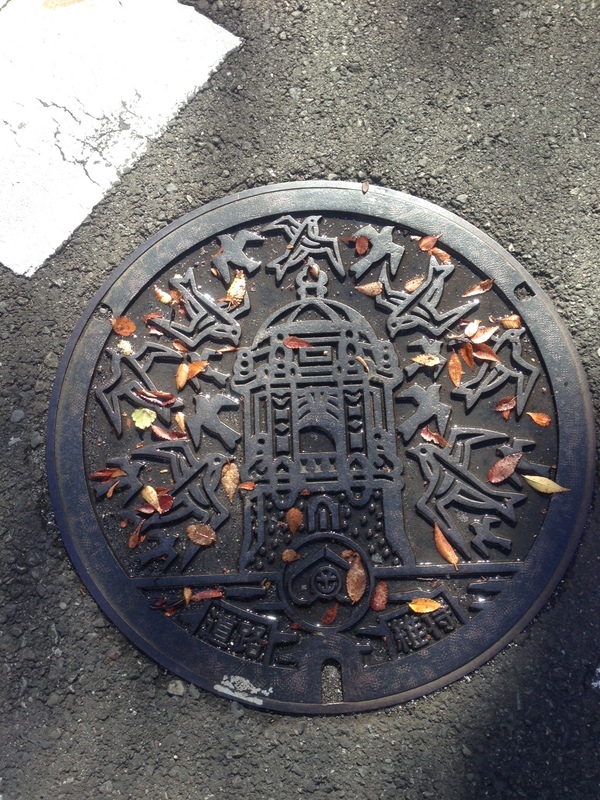 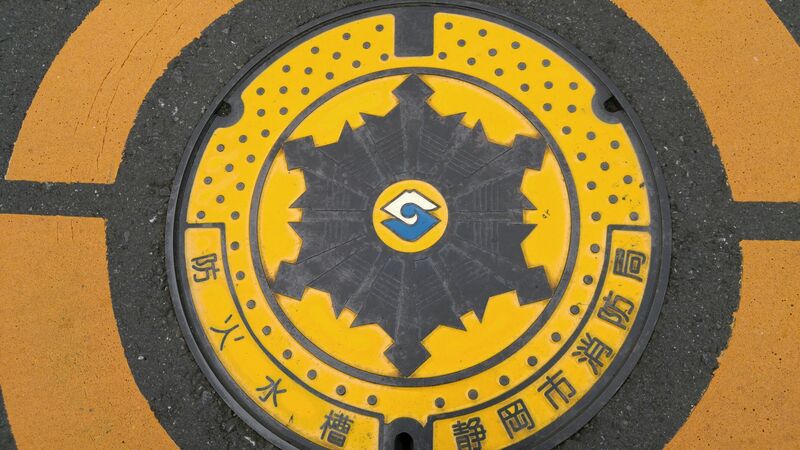 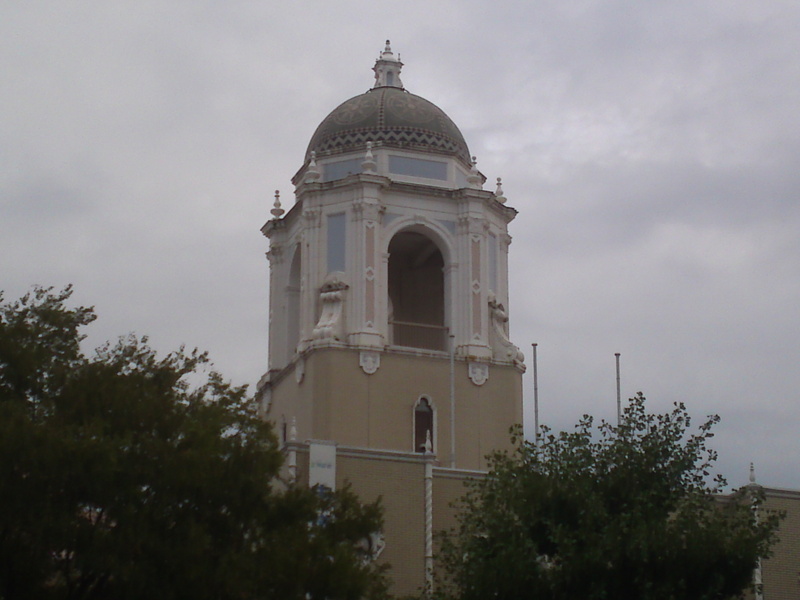 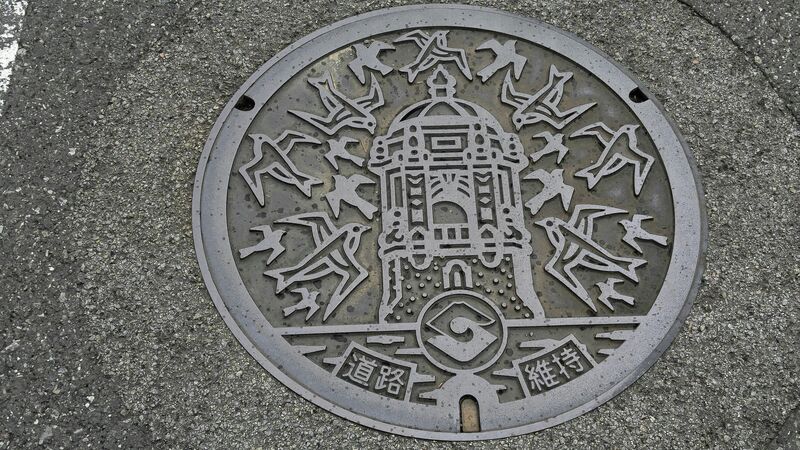 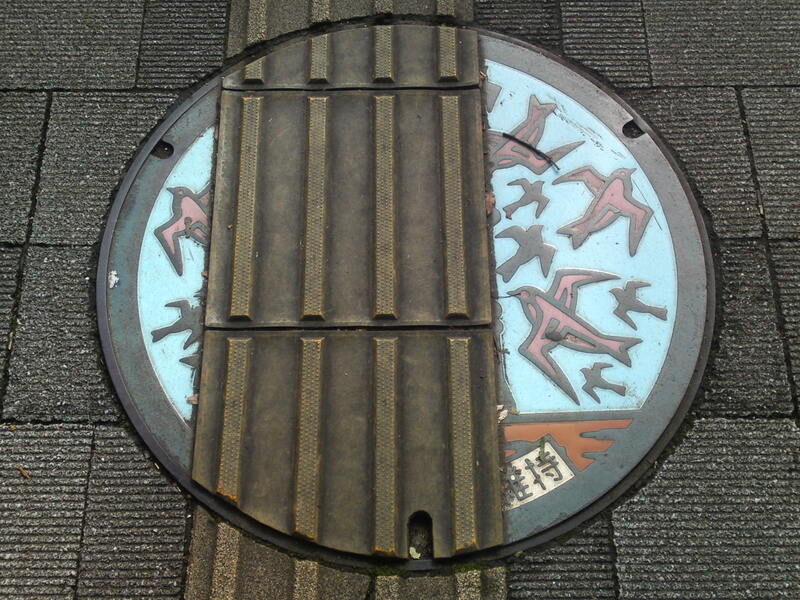 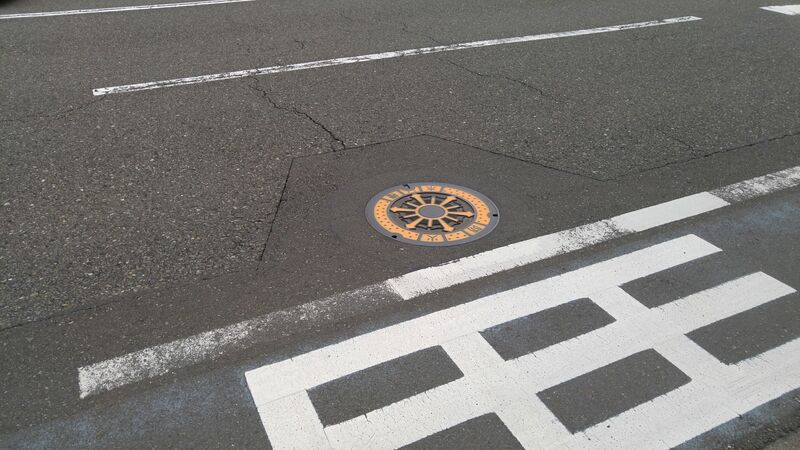 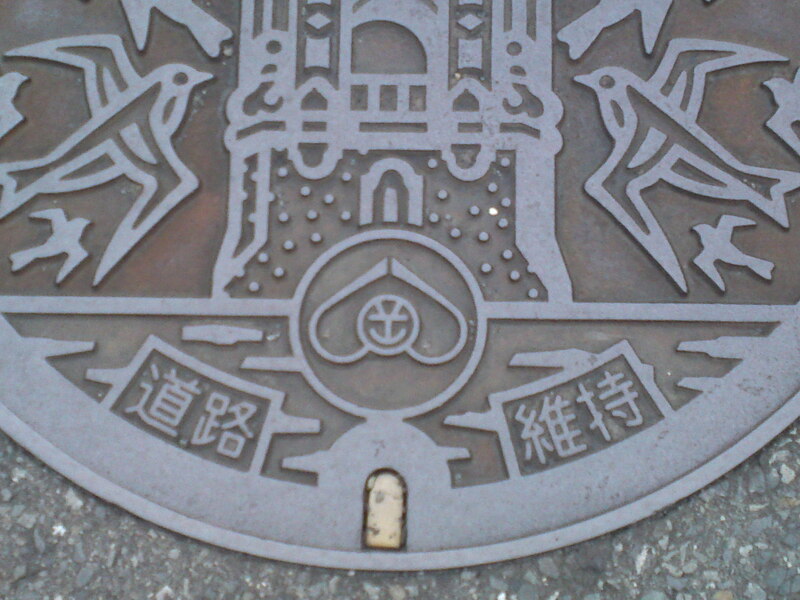 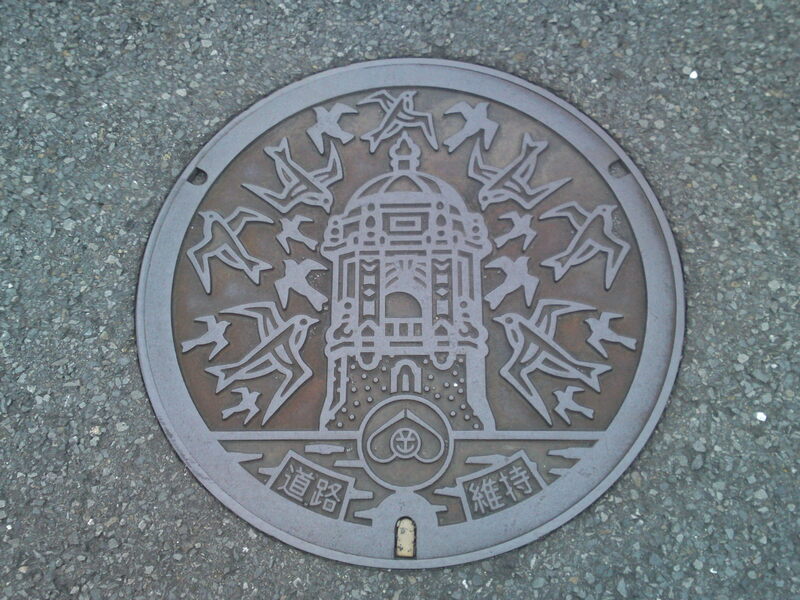 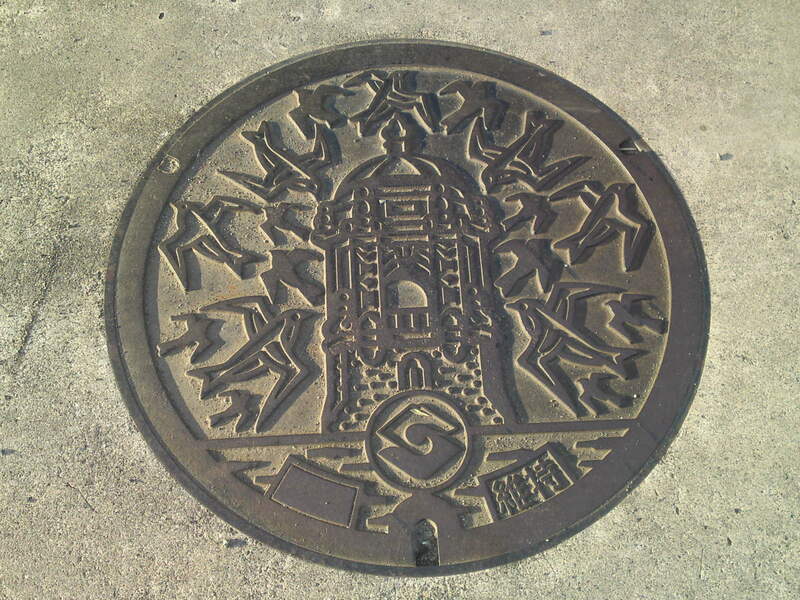 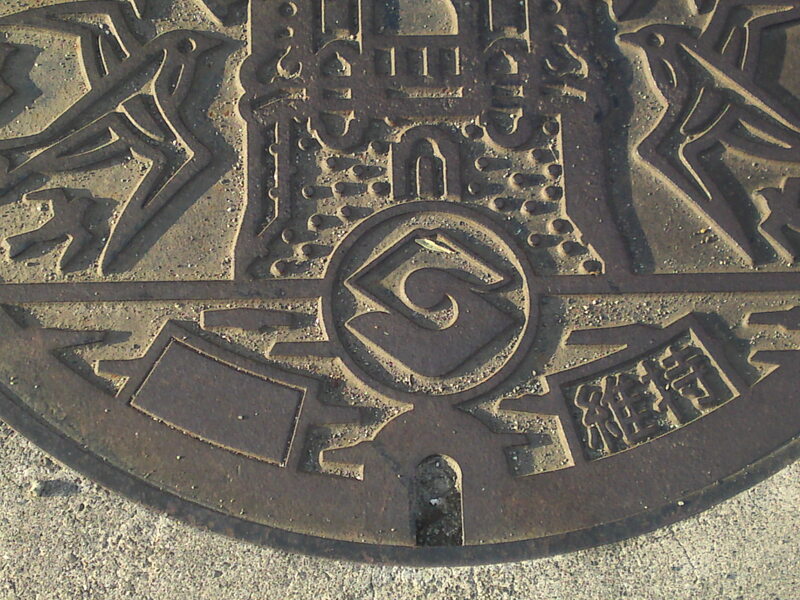 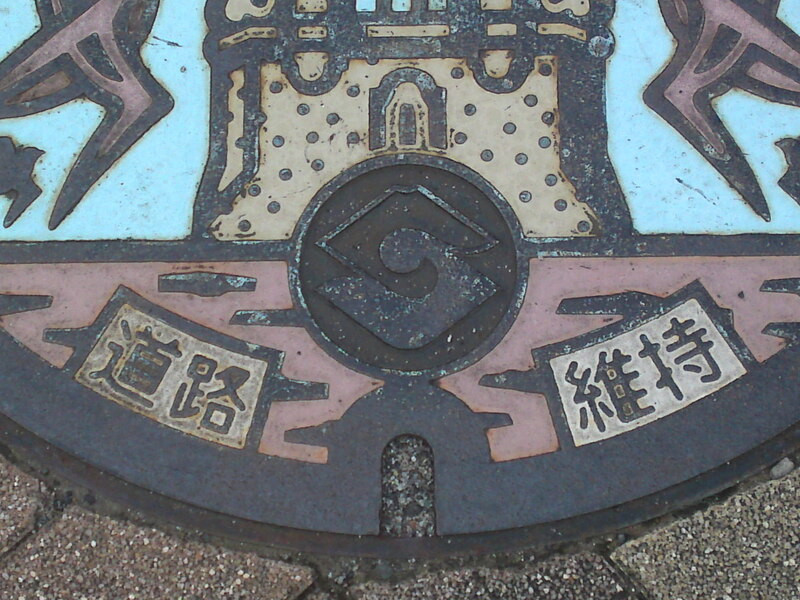 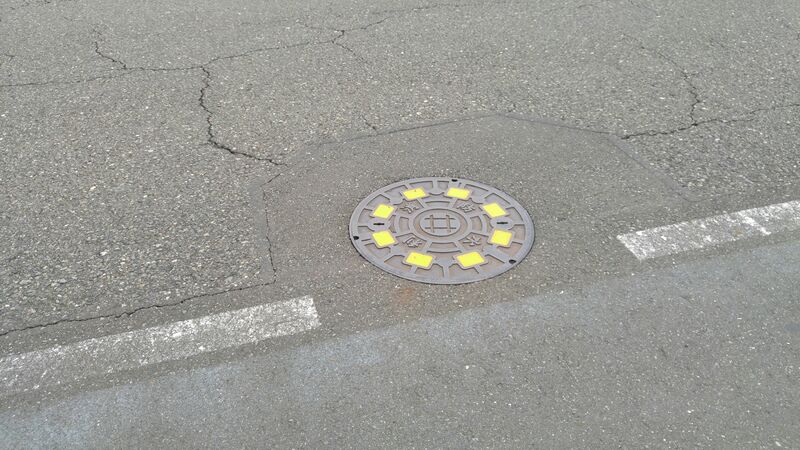 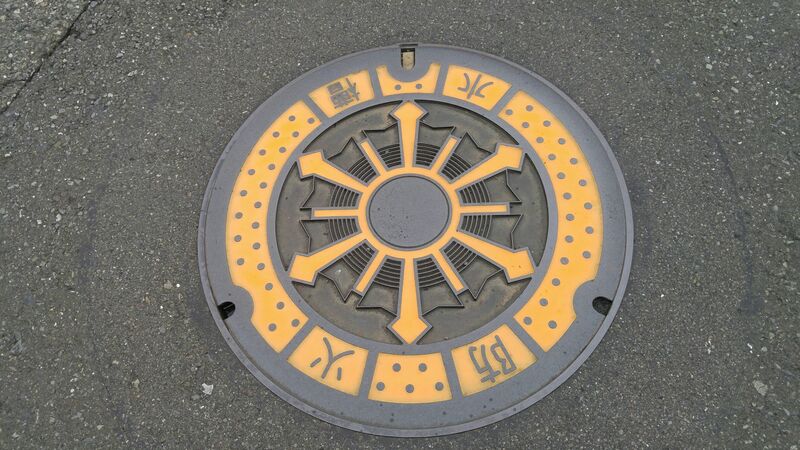 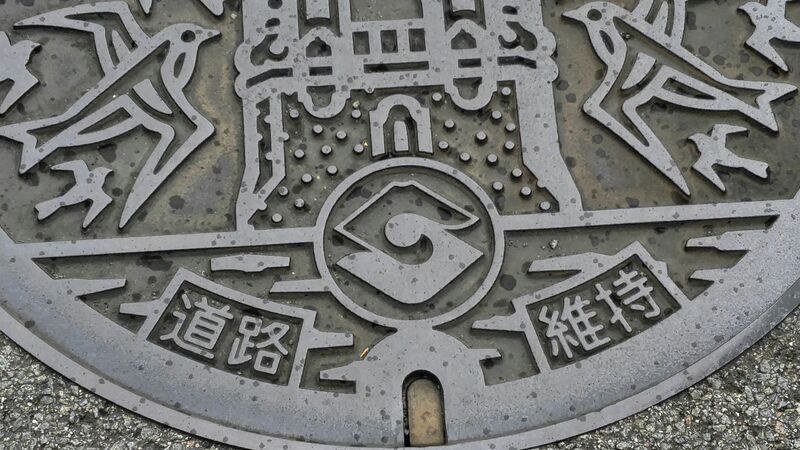 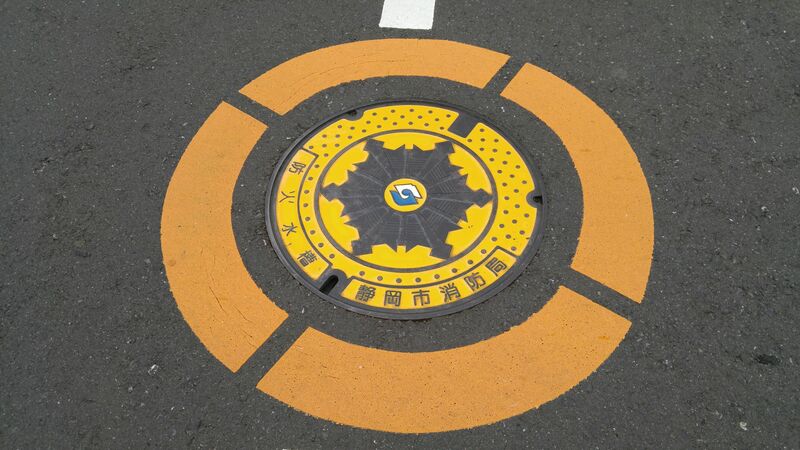 Manhole Covers in Shizuoka Prefecture 44: Former Shizuoka City Hall Dome in Shizuoka City! 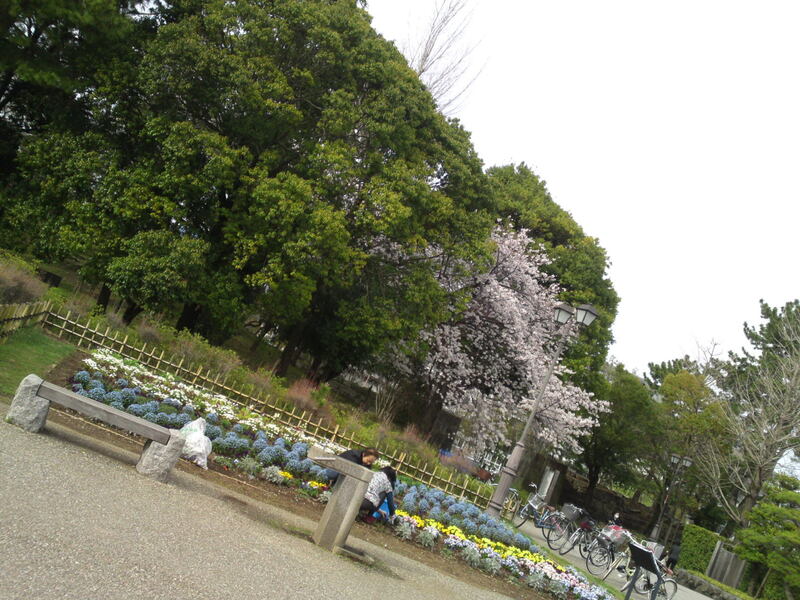 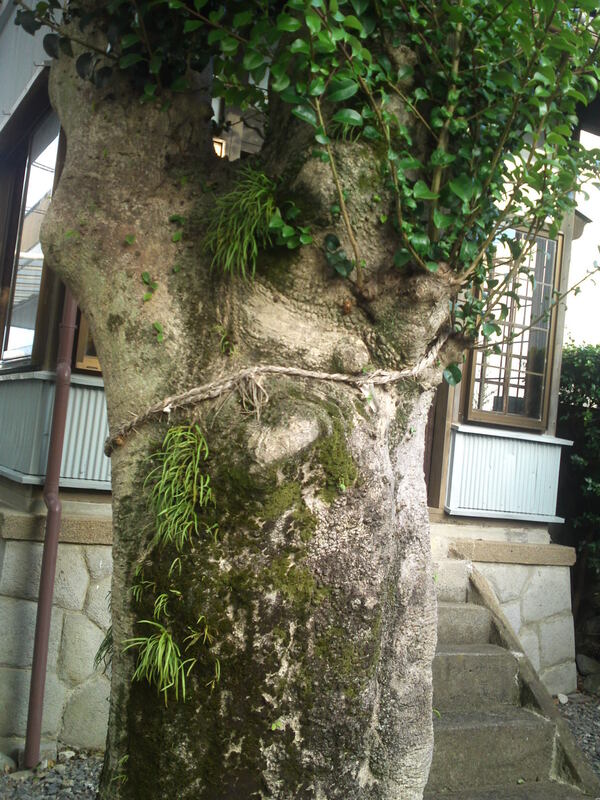 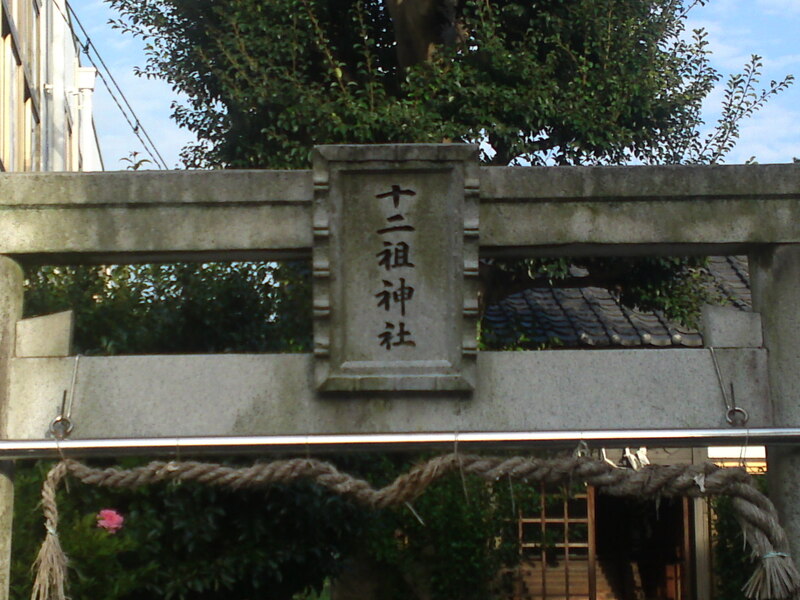 Juniso Shinto Shrine (十二祖神社) in Okitsu, Shimizu Ku, Shizuoka City! 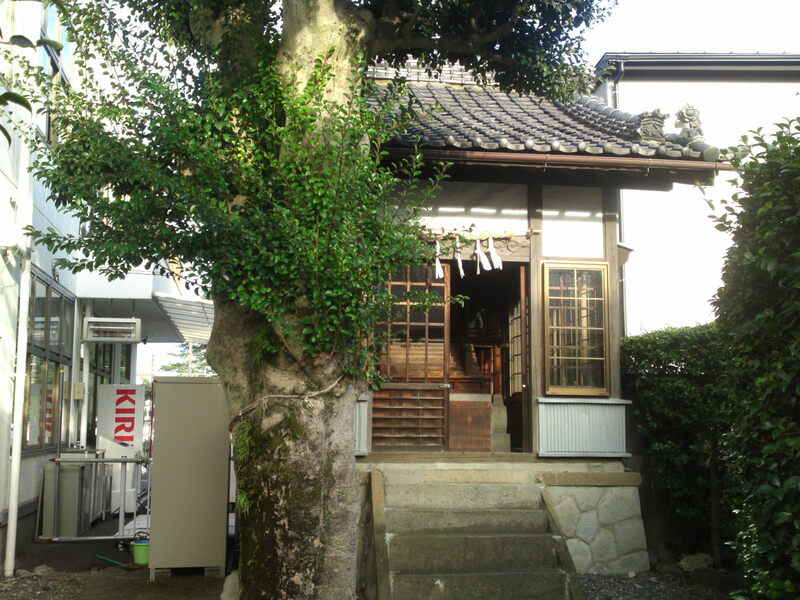 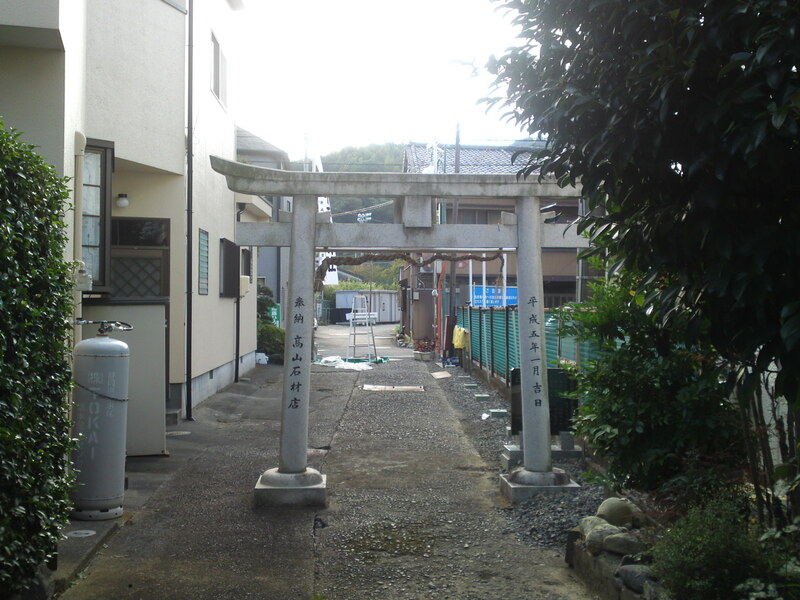 If you get off at Okitsu Station in Shimizu Ku, Shizuoka City, explore the area from the left of the station not far along Okitsu River and you will find a tiny but intriguing Shinto Shrine! 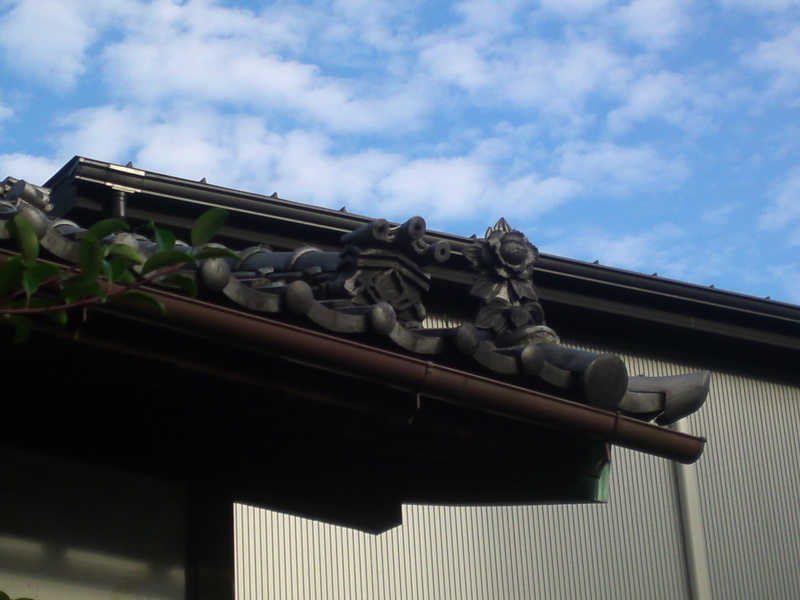 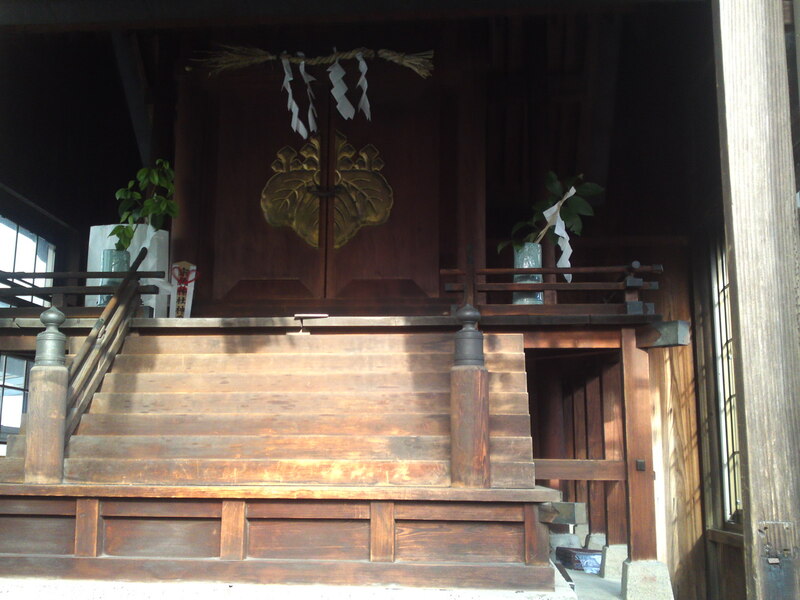 “Juniso Shrine (十二祖神社”, which means 12-vessels Shrine. 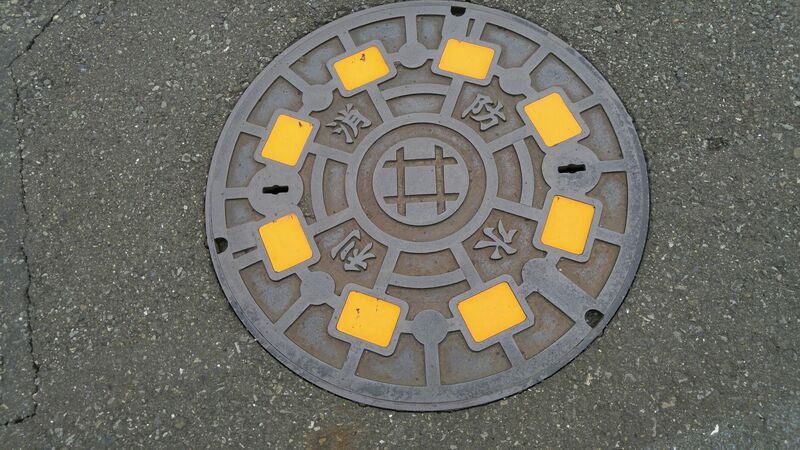 Now, why this unusual number “12”? 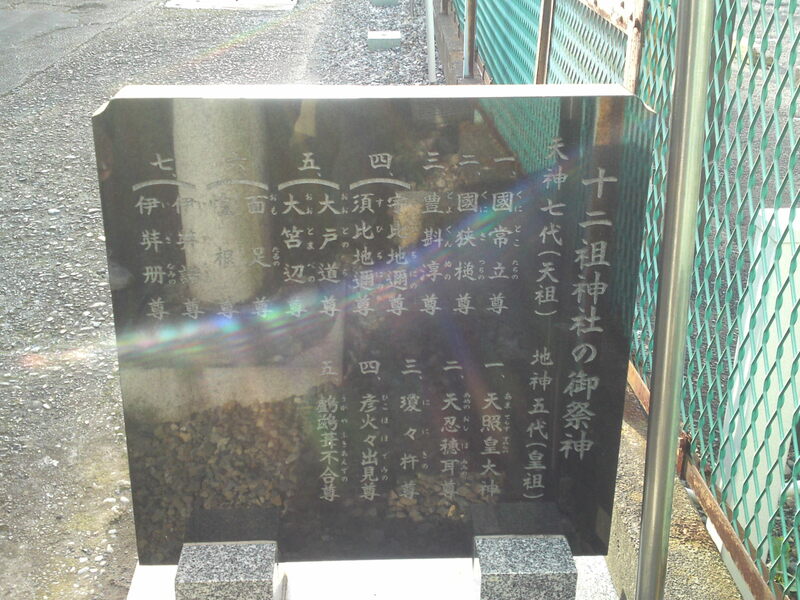 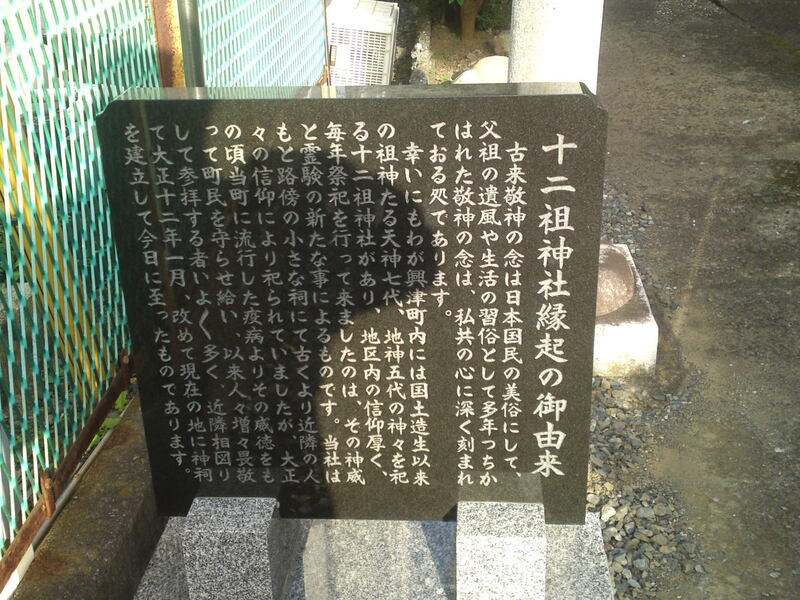 A plaque is there to explain all in Japanese, but look at it from the other side! 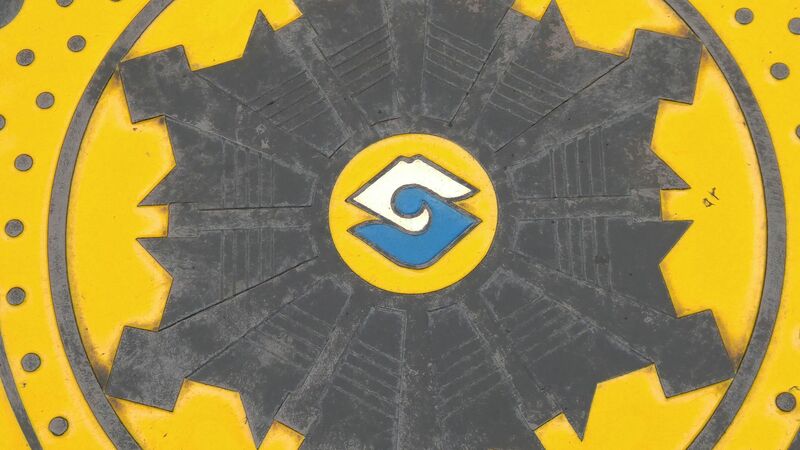 Here you have the 絵xplanation of the number “12”! 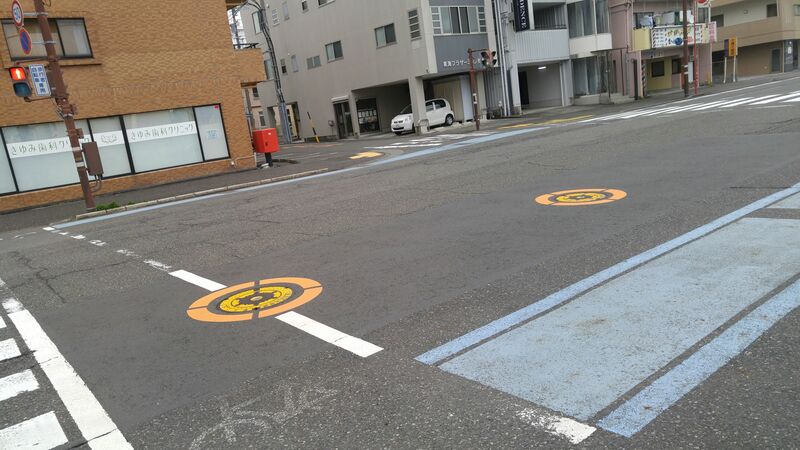 Some locals were glad to explain everything! 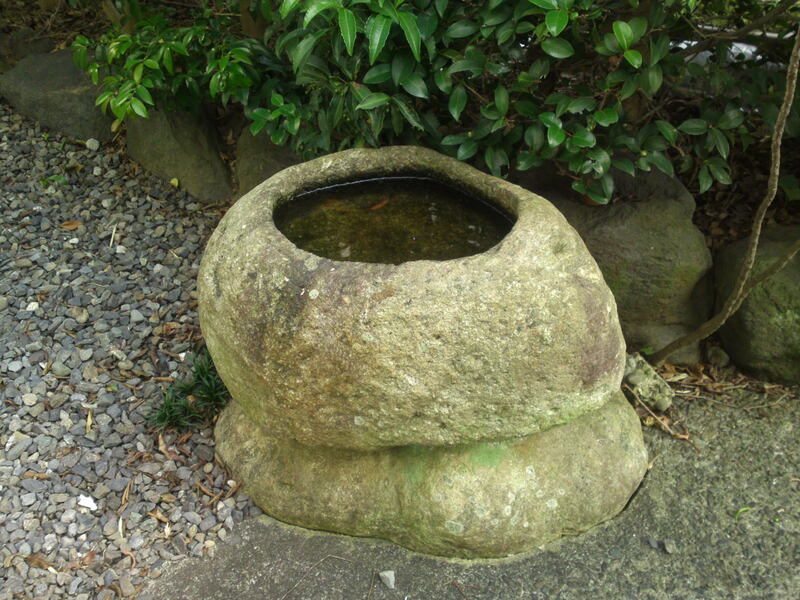 And its small hand washing stone basin! 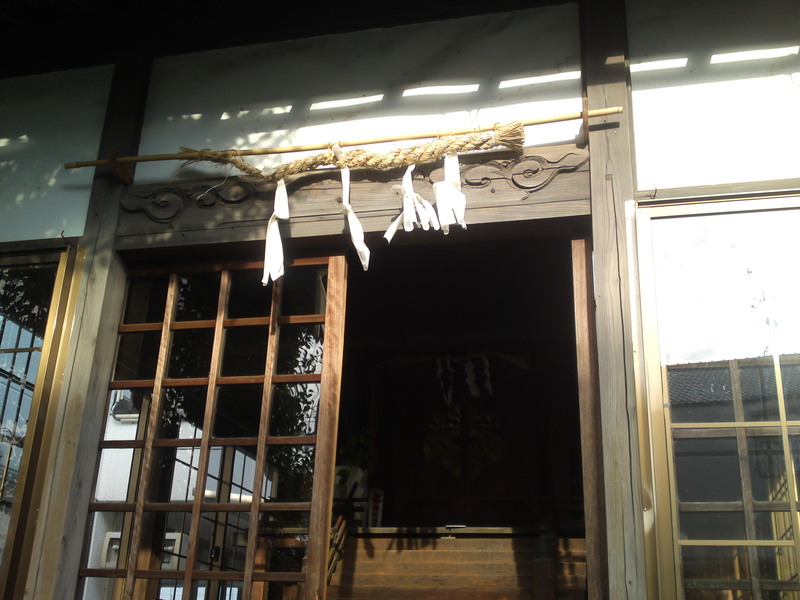 A thin rice straw garland! 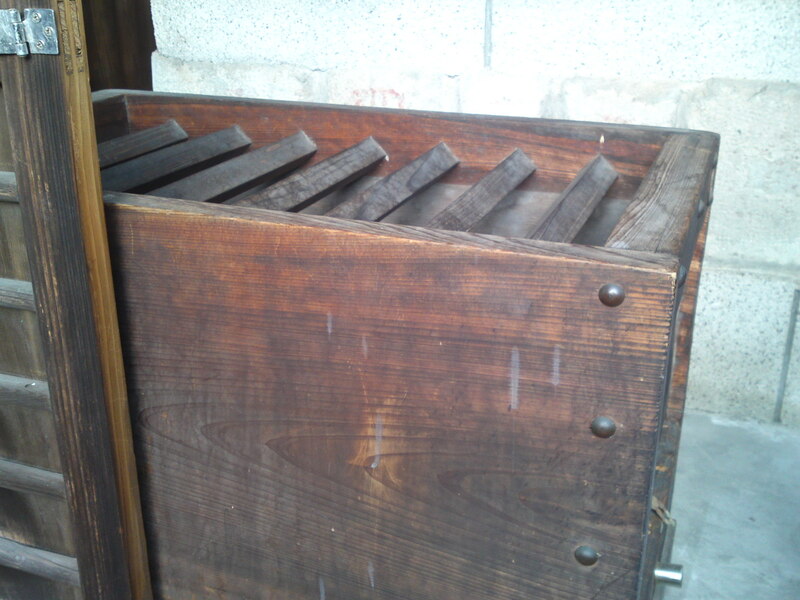 A small stair to the interior! 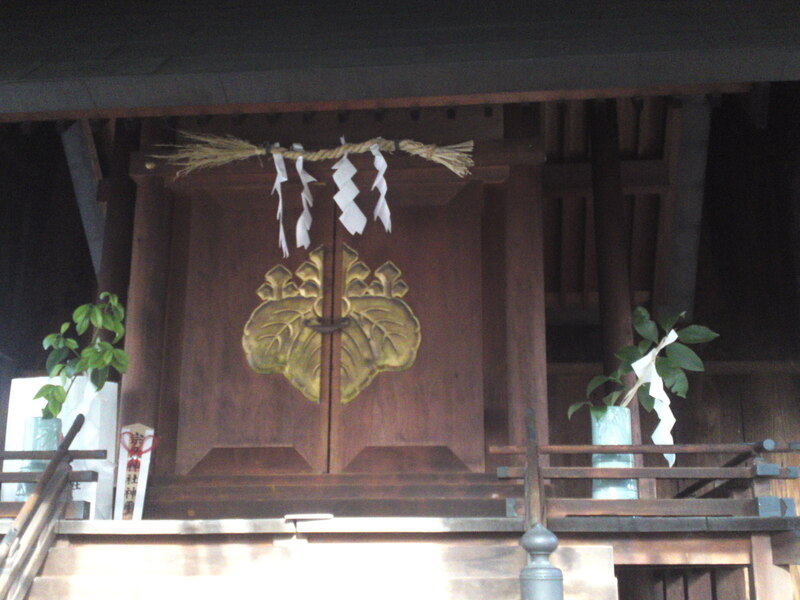 The interior with a beautiful “mon/Japanese crest”! 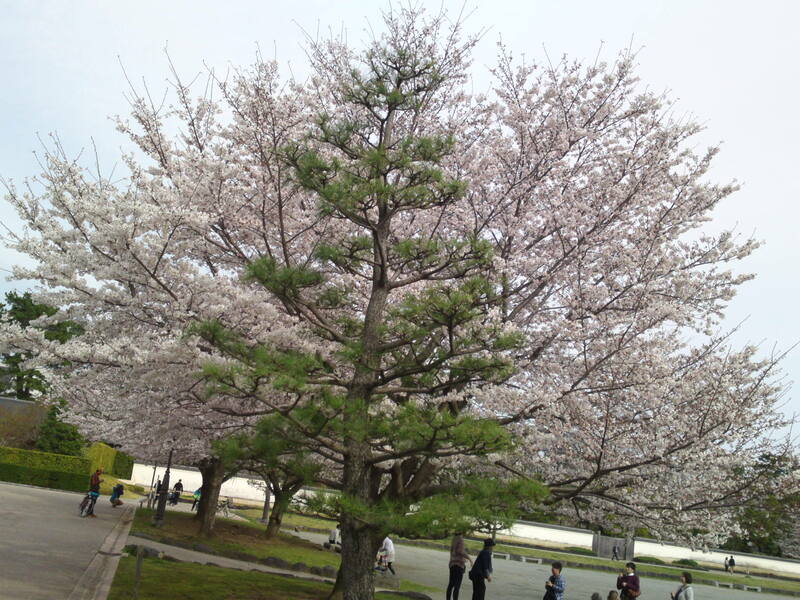 A lone tree but duly venerated! 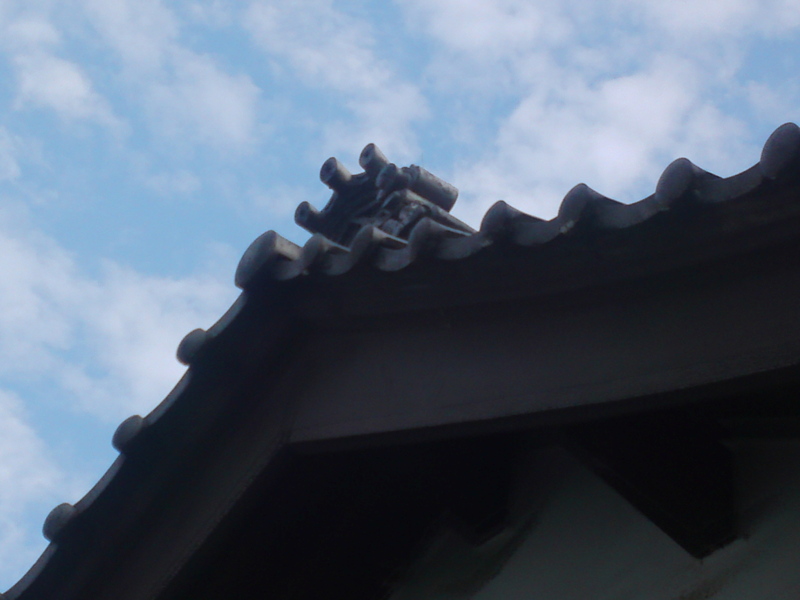 A last look at the roof tiles! 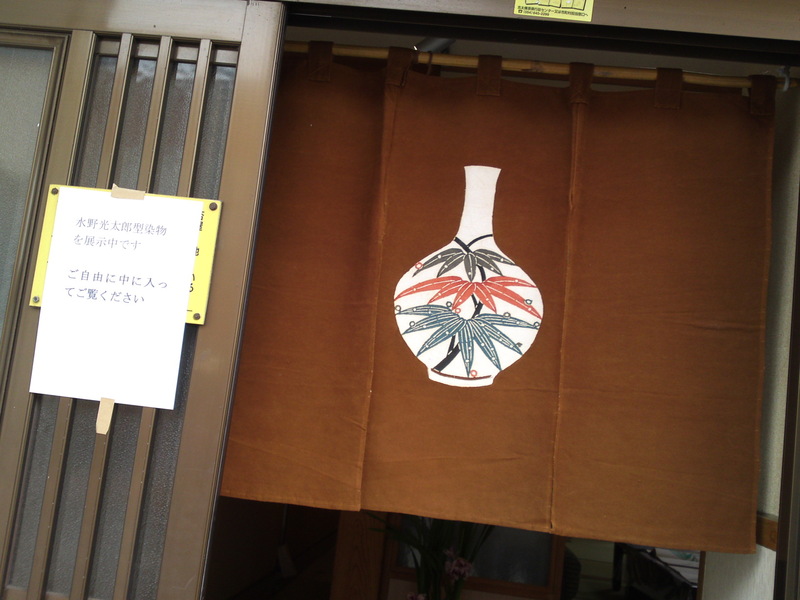 Japanese Gastronomy on Noren/暖簾/Entrance Curtains by Koutarou Mizuno/水野光太郎光太郎! 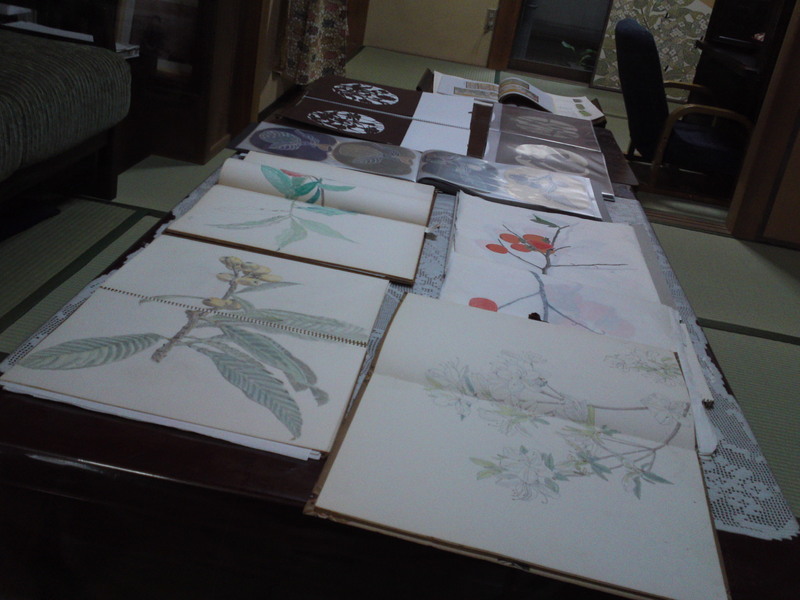 the other as I was reporting on the Tea Festival in kanaya, Shimada City, I was invited by a local to visit a special art exhibition privately held by a local citizen! 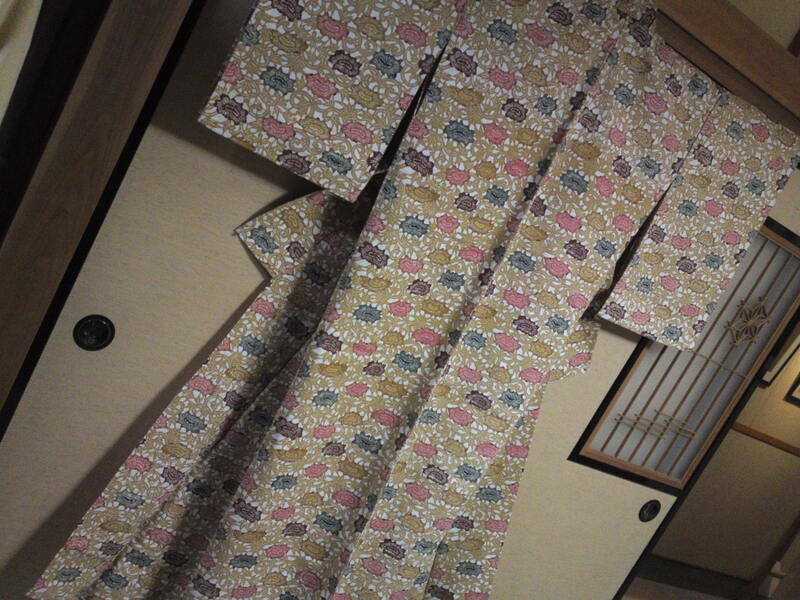 I understood at once it was about dye works when I found the noren/のれん/entrance curtain! 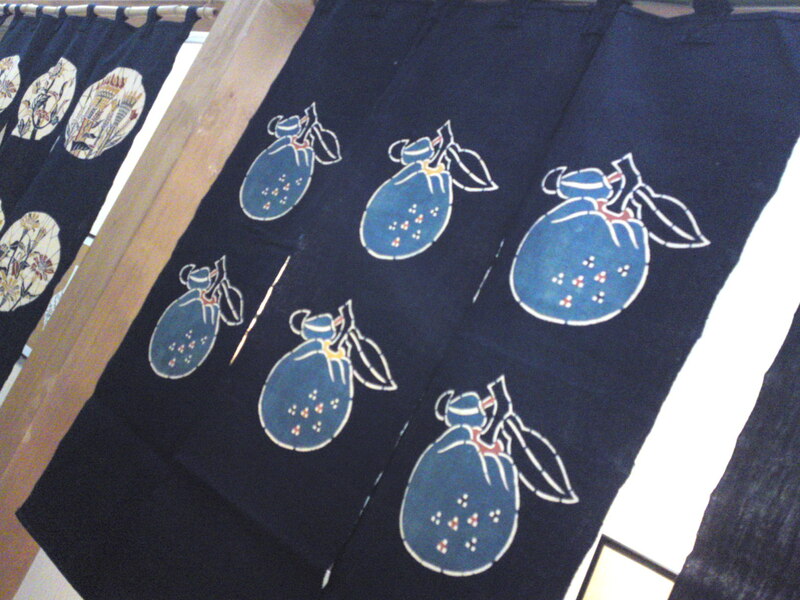 Shizuoka Prefecture is famous for many dye works artists including Keisuke Serizawa and his disciples! 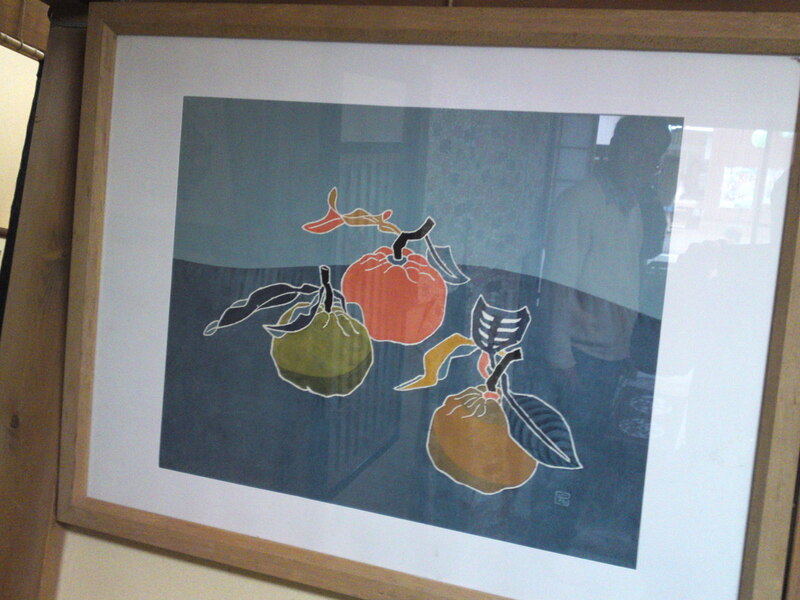 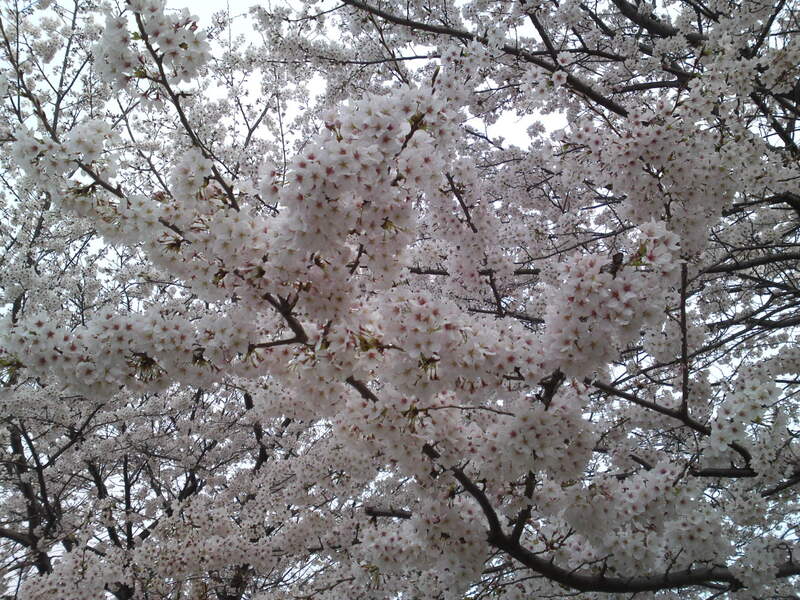 The artist name was Koutarou Mizuno/水野光太郎! 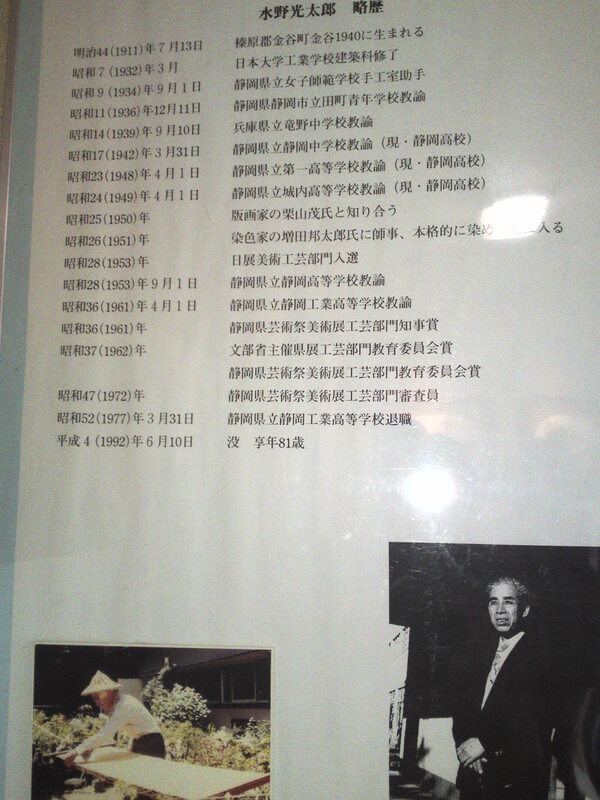 Koutarou Mizuno was actually born in kanaya in 1911! 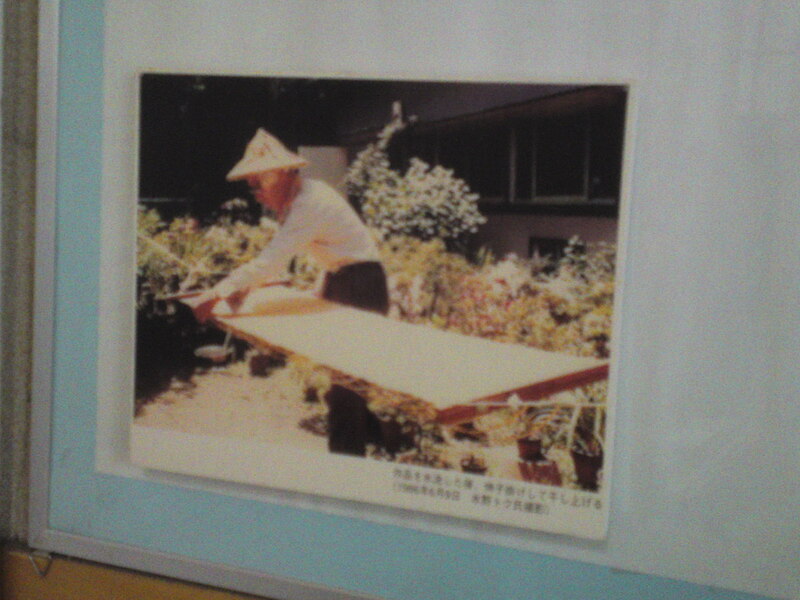 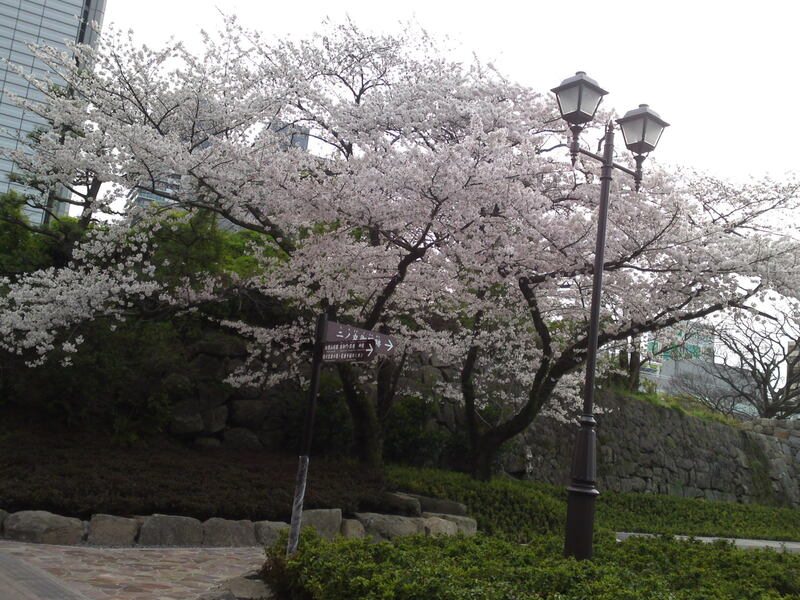 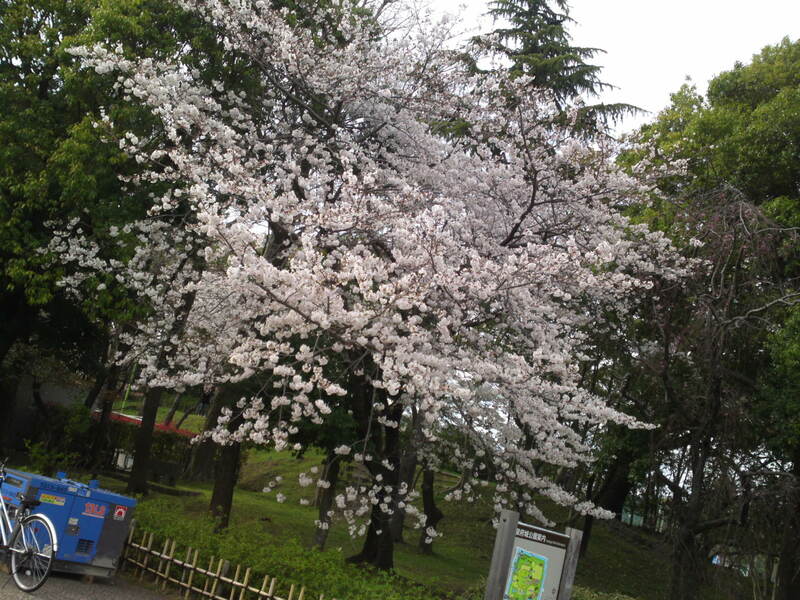 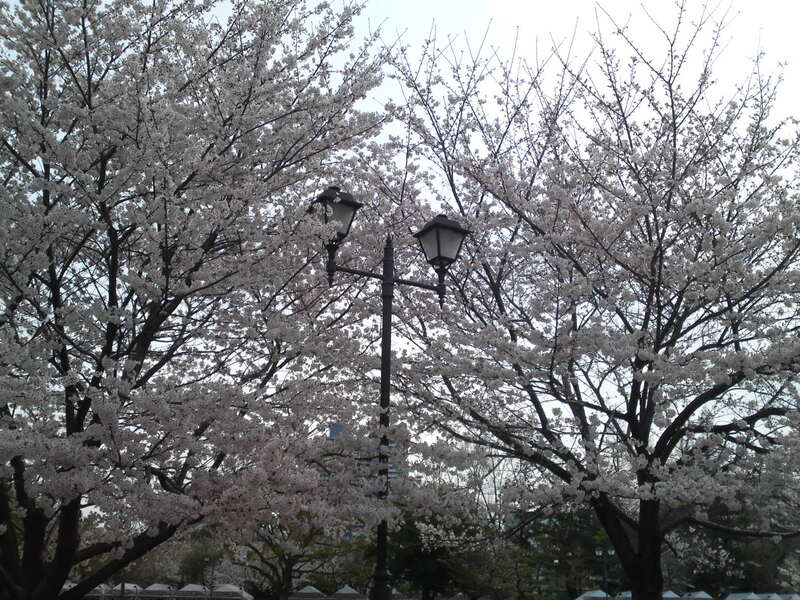 he graduated from the Japan university industrial studies Faculty in Architecture in 1932. 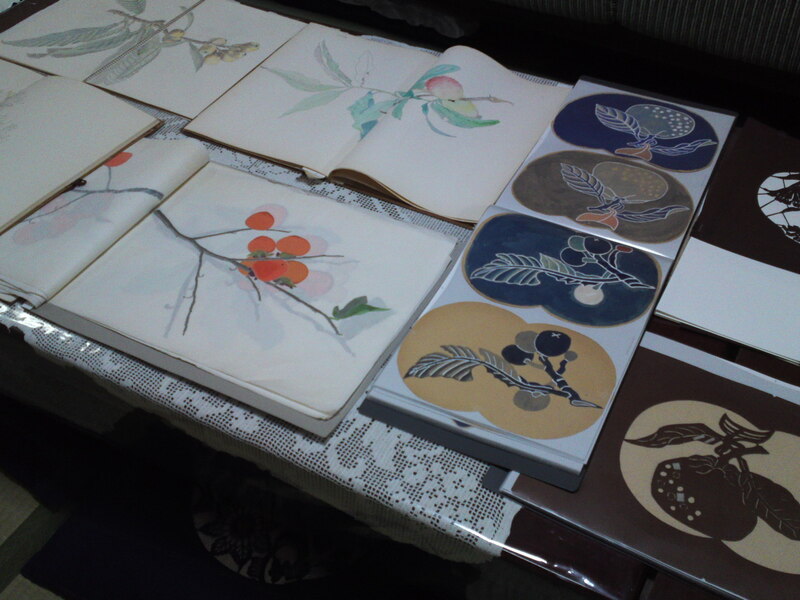 After a fateful meeting with wood block print artist shigeru kuriyama/栗山茂 in 1950 he became an active dye-work artist from 1951 until his last days! 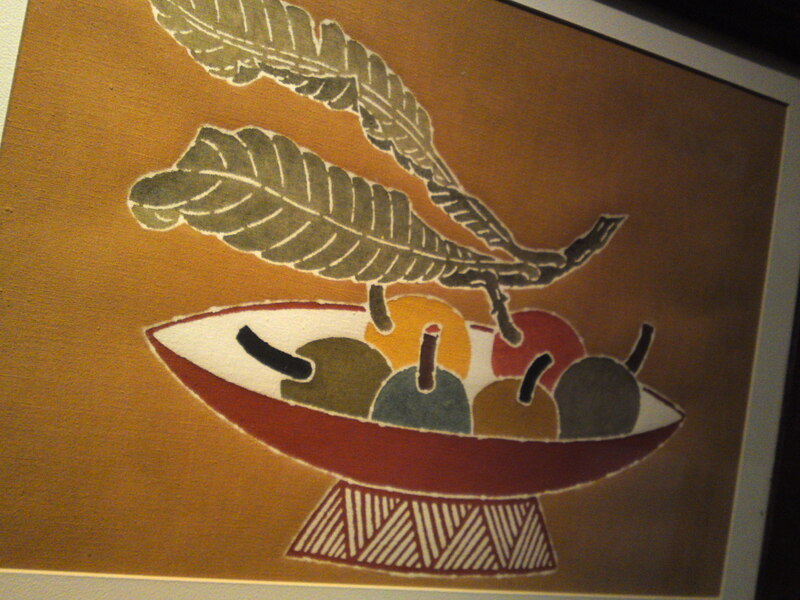 The artist kept his passion alive till his last days! 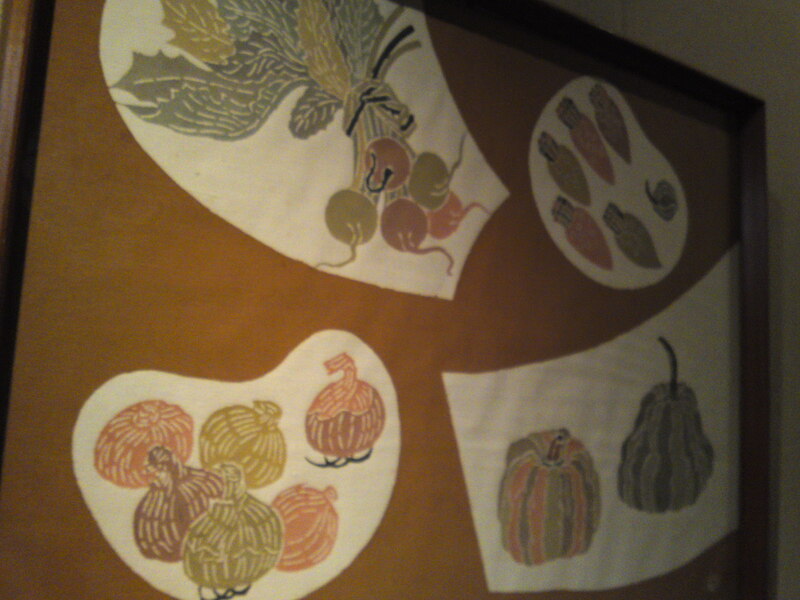 The exhibition included other dye works such as these fruit! 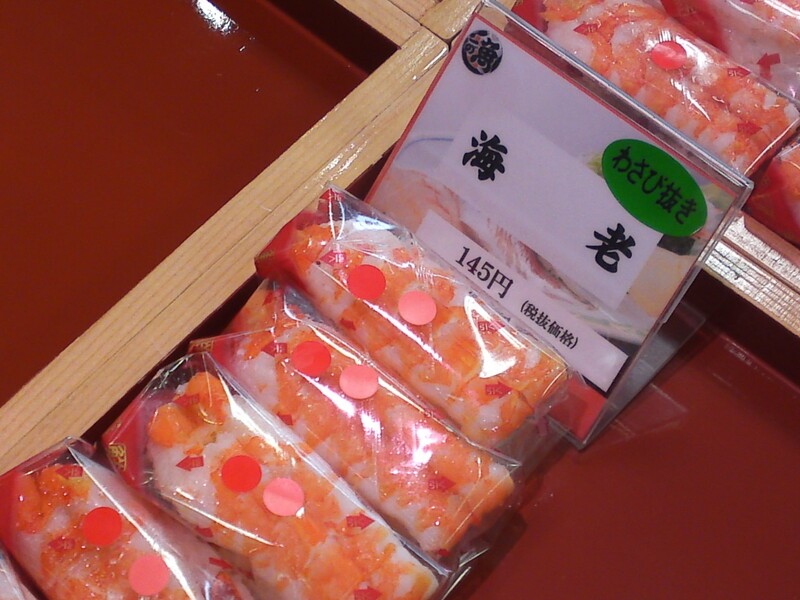 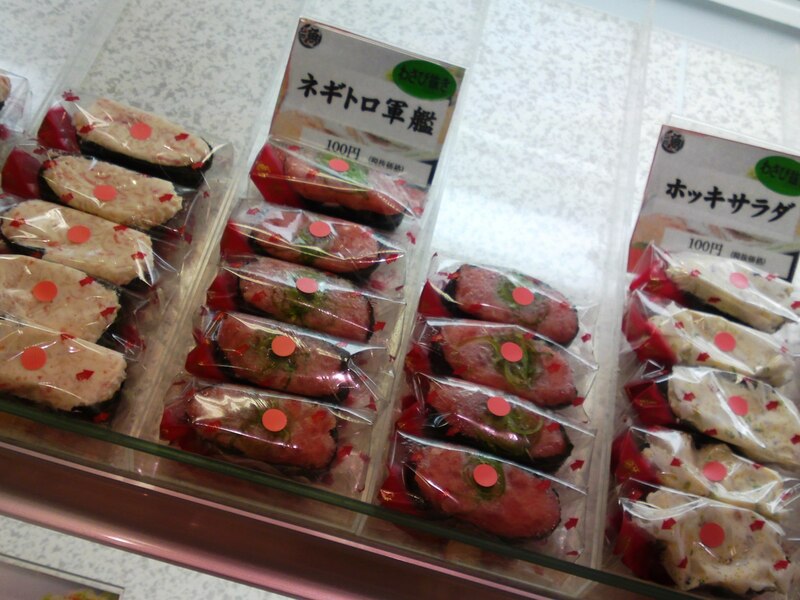 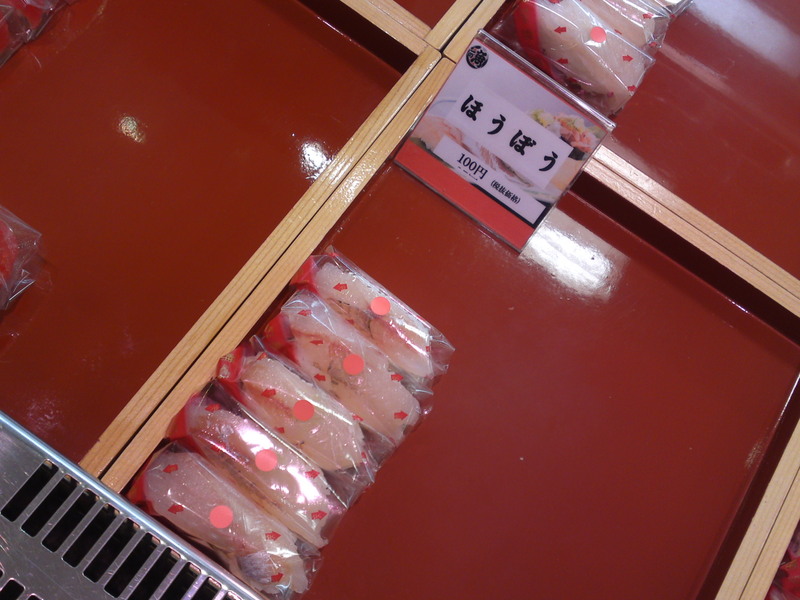 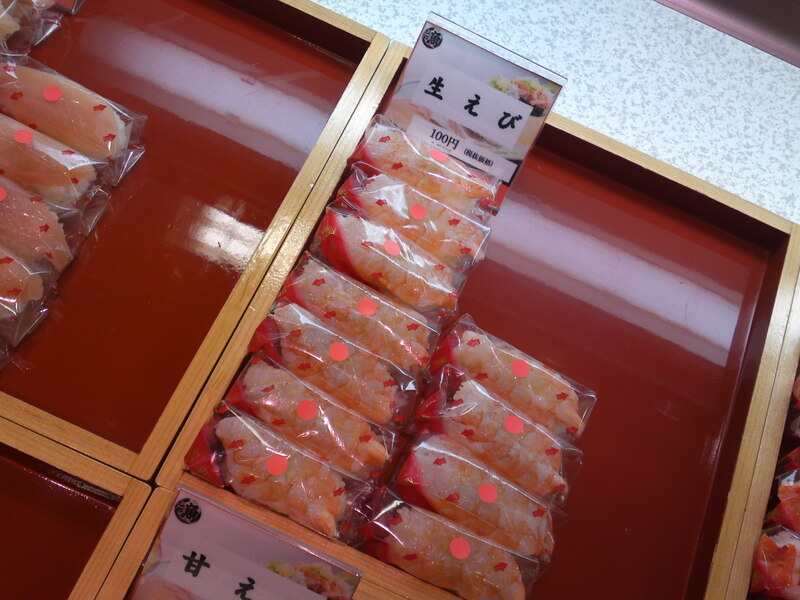 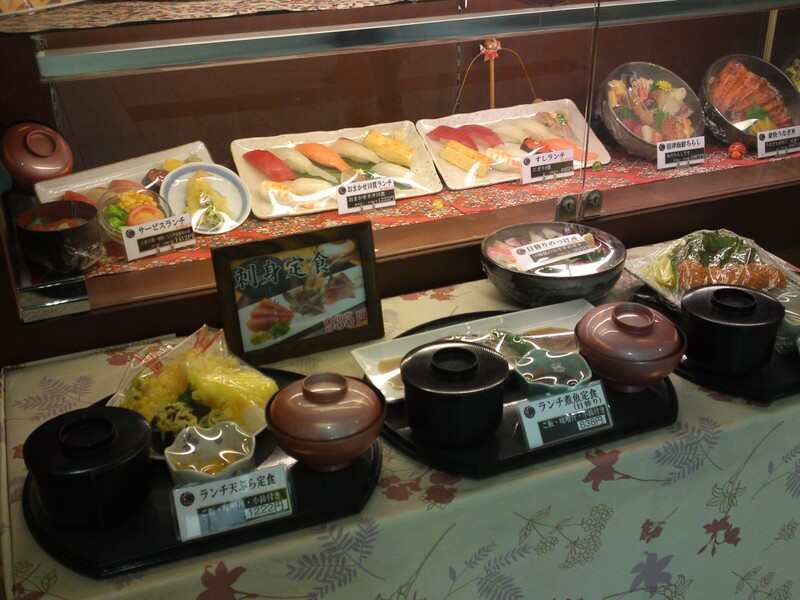 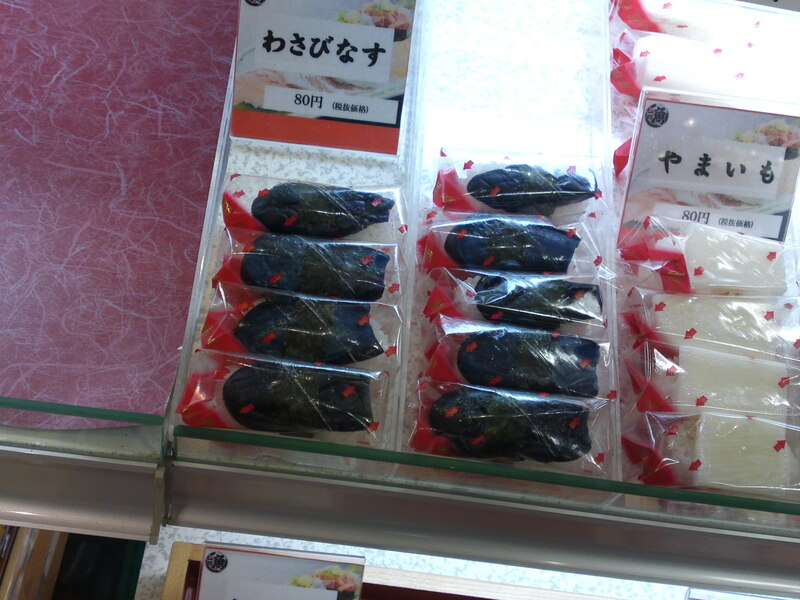 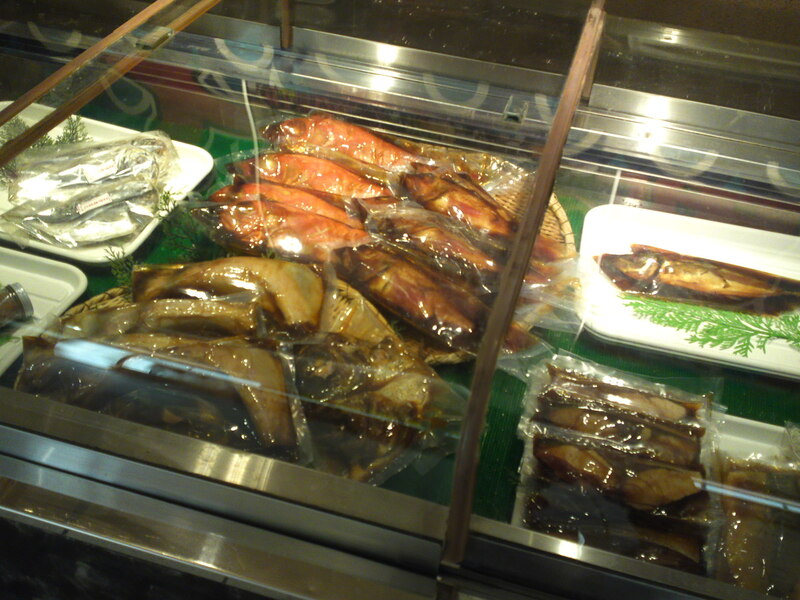 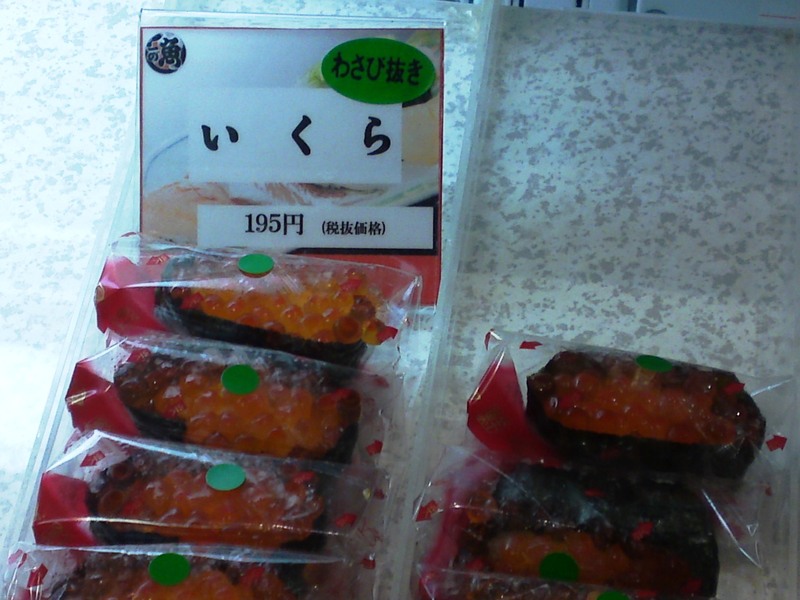 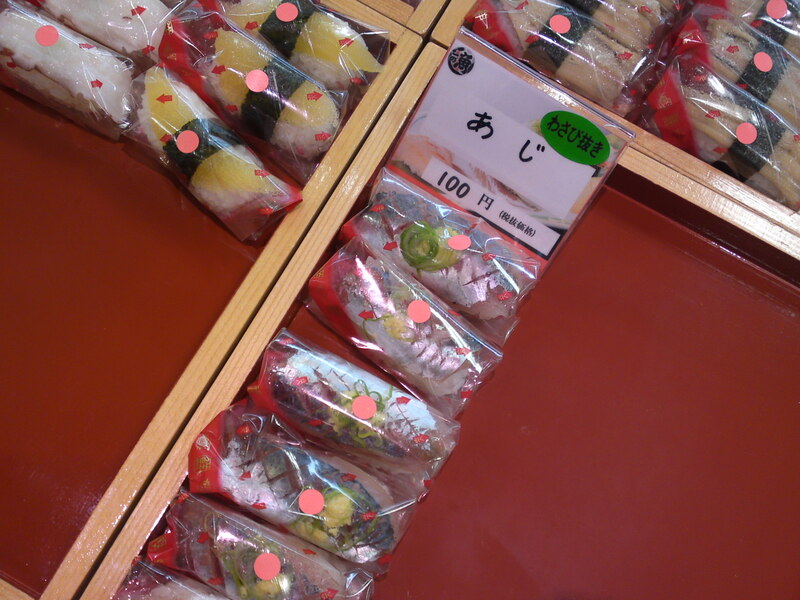 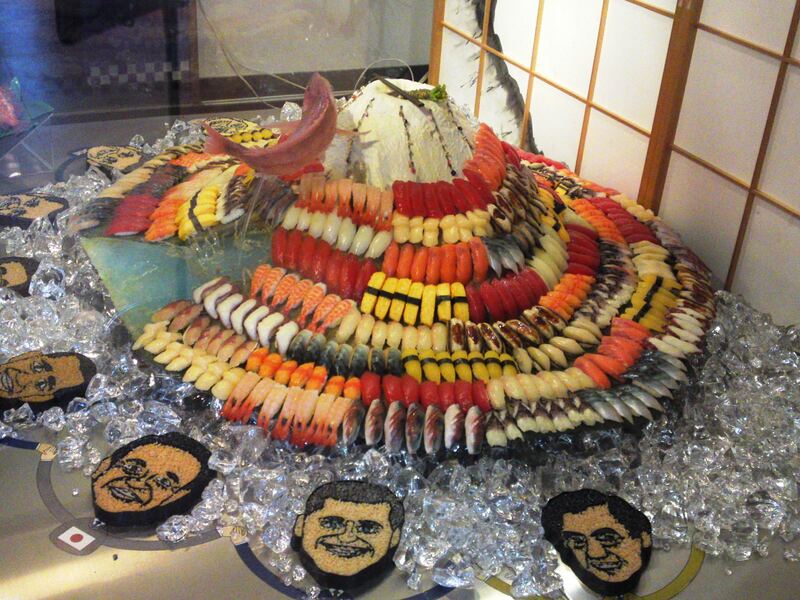 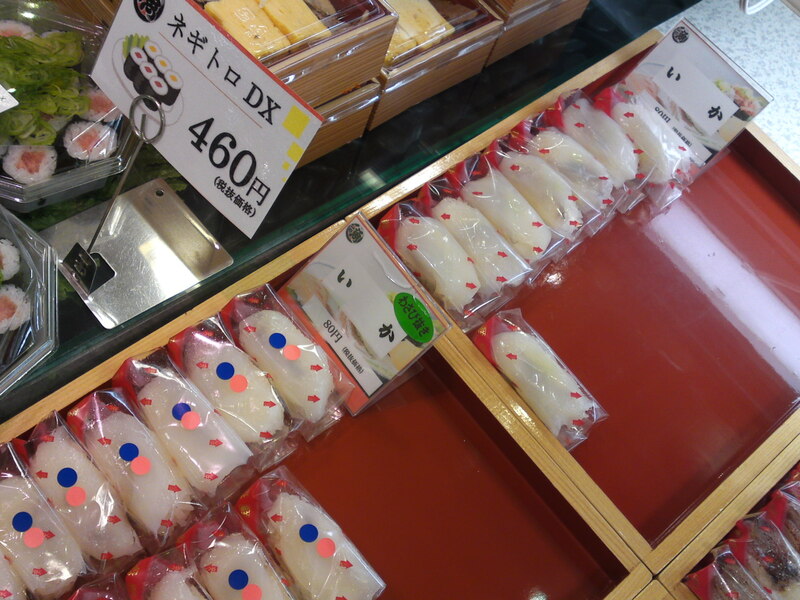 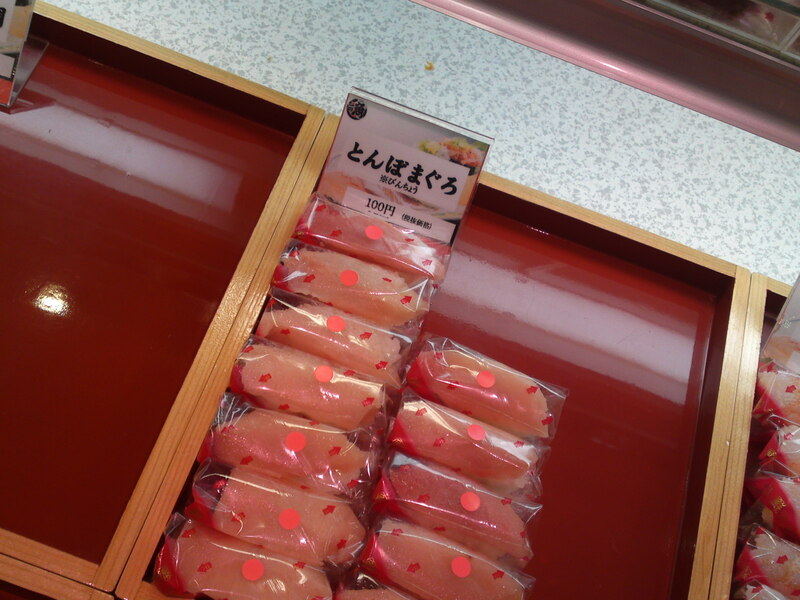 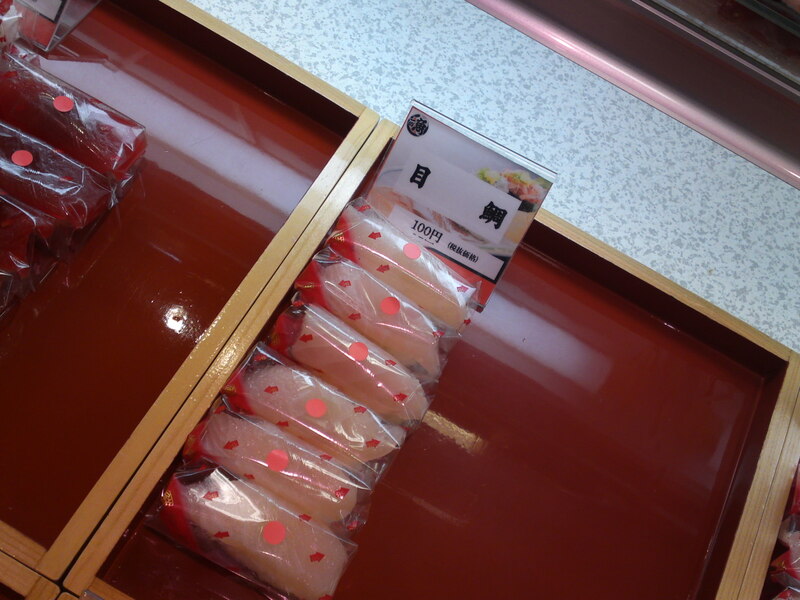 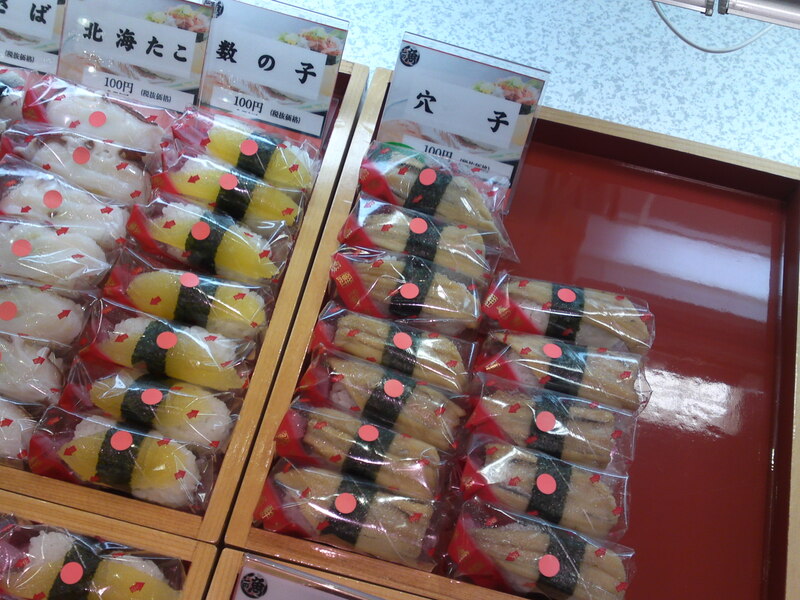 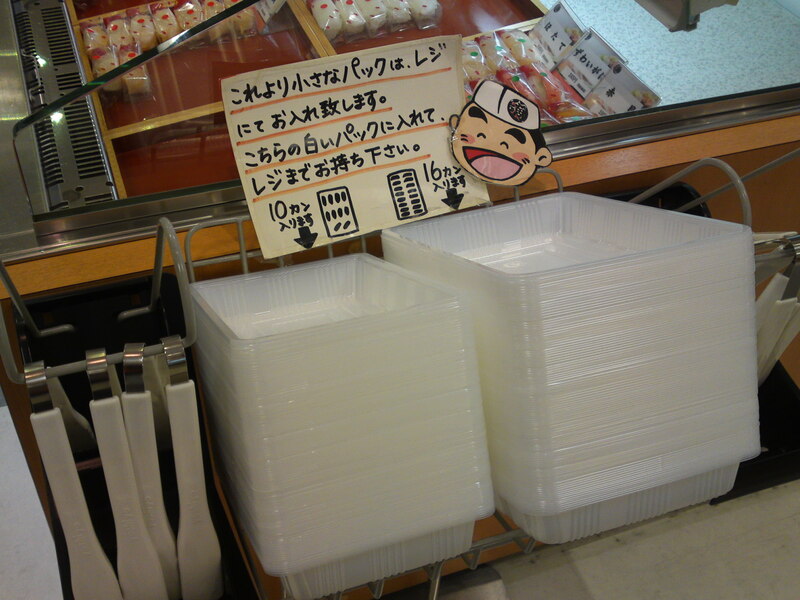 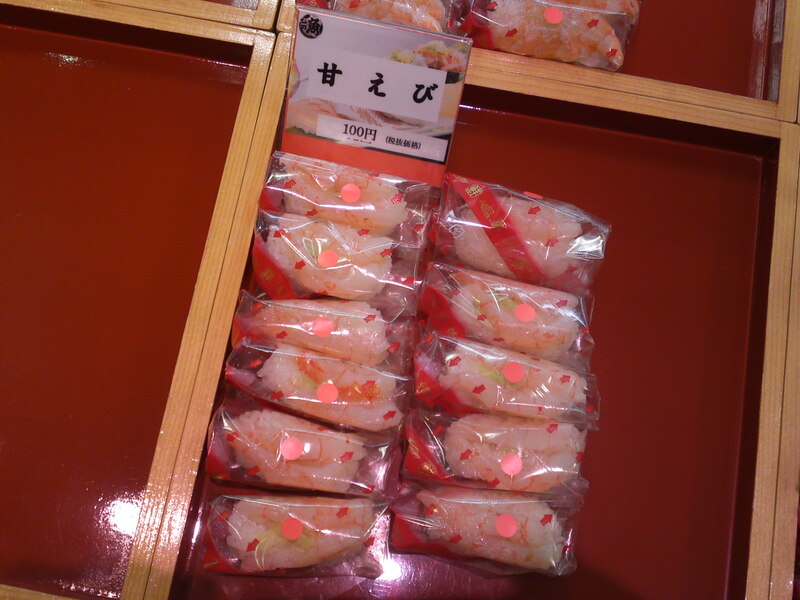 Sushi: Uogashi Stand at Parche Supermarket (Part 2)! 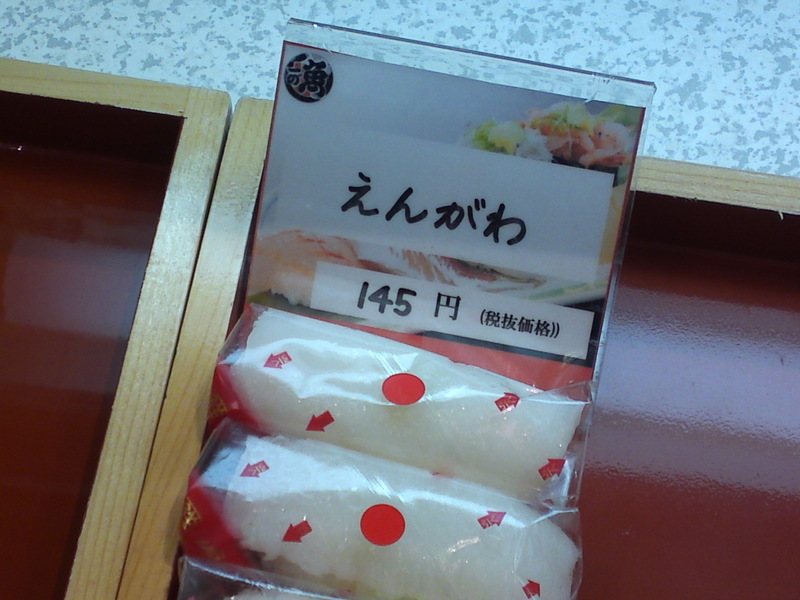 The manager not being on hand today I decided nonetheless to introduce the restaurant briefly and the sushi nigiri at their stand in Shizuoka JR Station in more details. 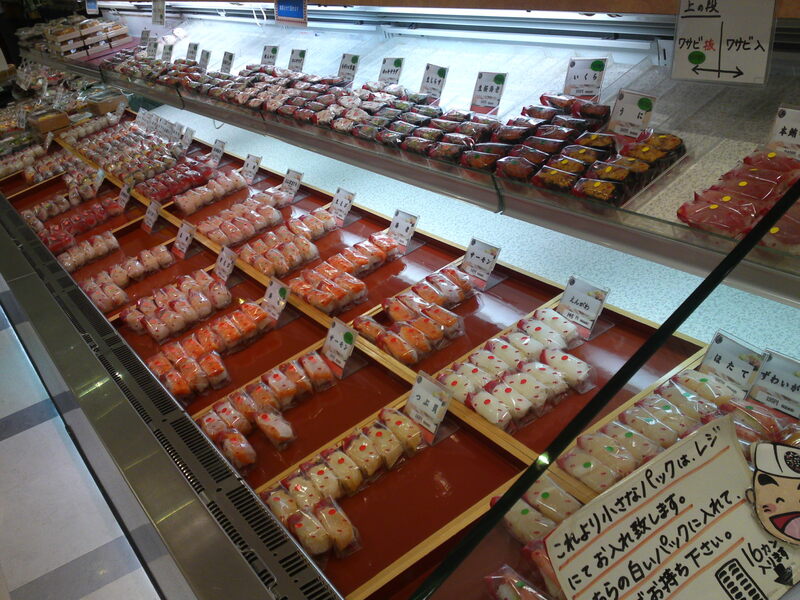 Mind you, the market was a bit crowded and all the pictures were good enough! 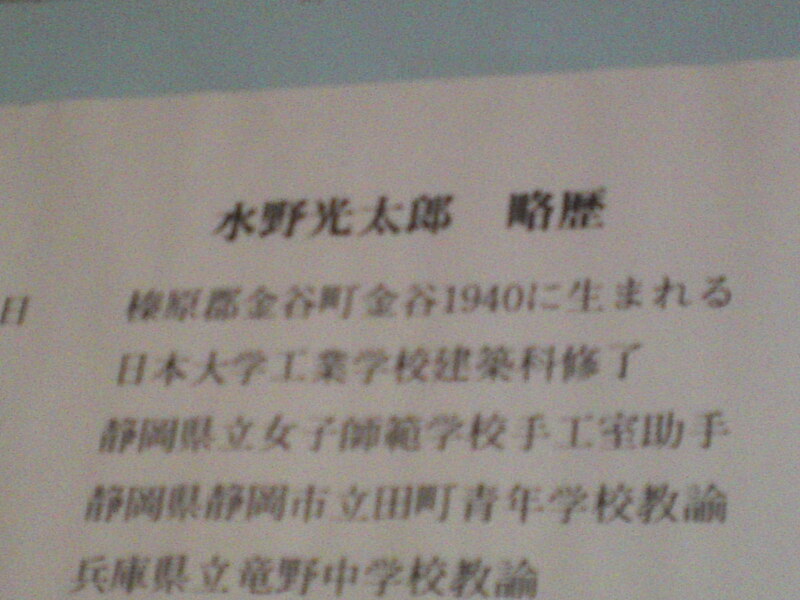 I’ll do better during the interview! 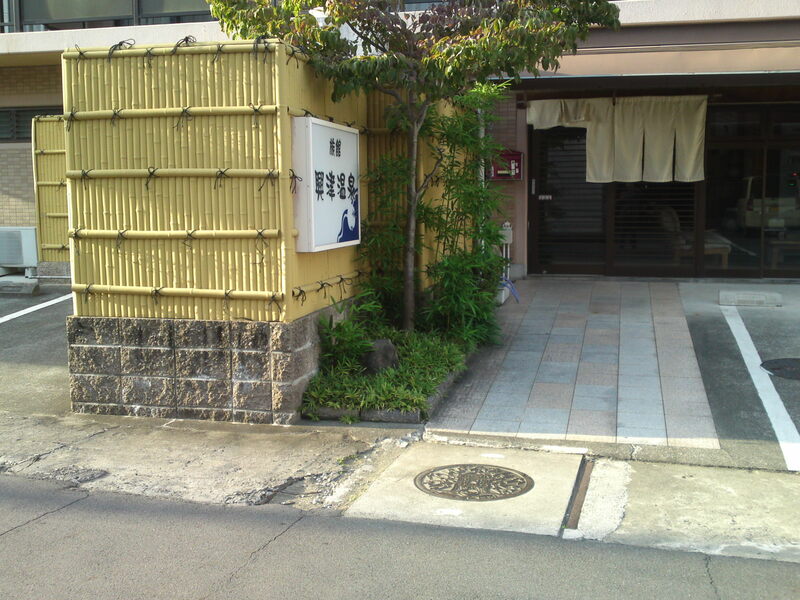 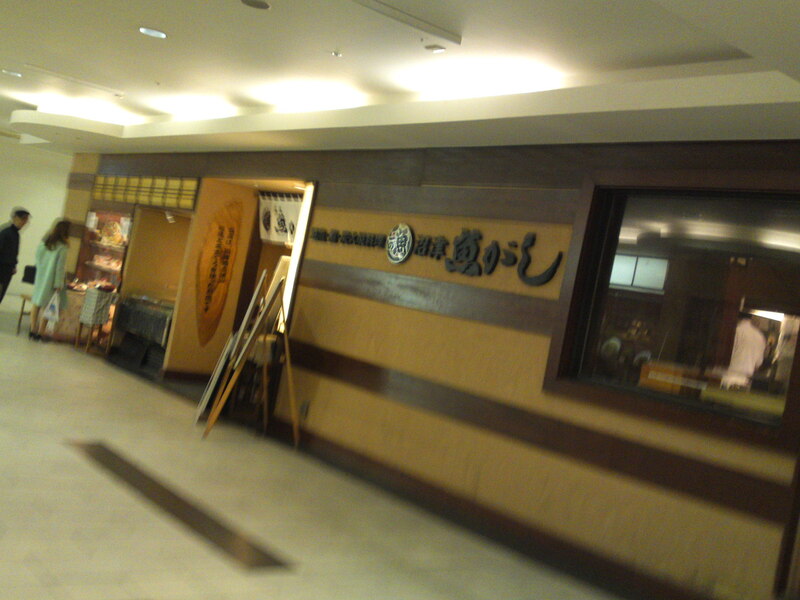 Uogashi/魚がし Restaurant in Acty, inside the Shizuoka Station but opposite to the market! 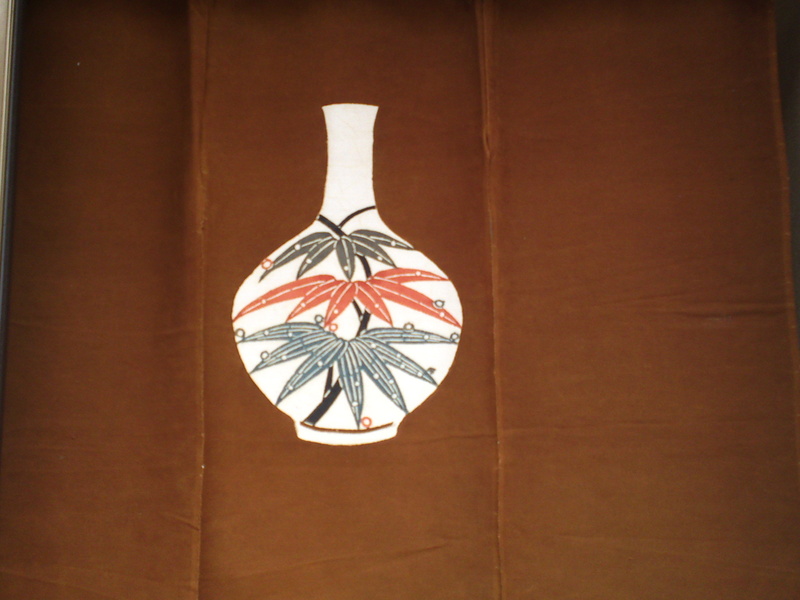 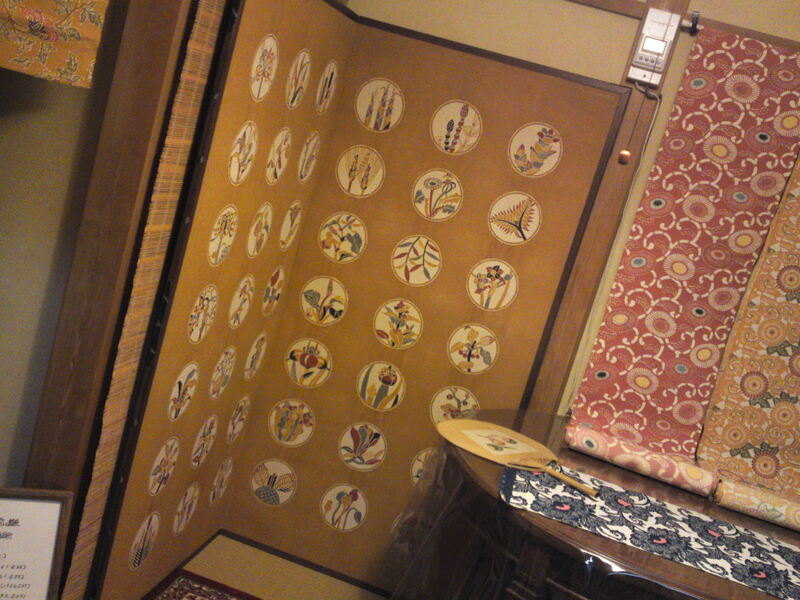 Remember the design in the topleft corner of the noren/暖簾/entrance curtain as you will find it again inside the market! 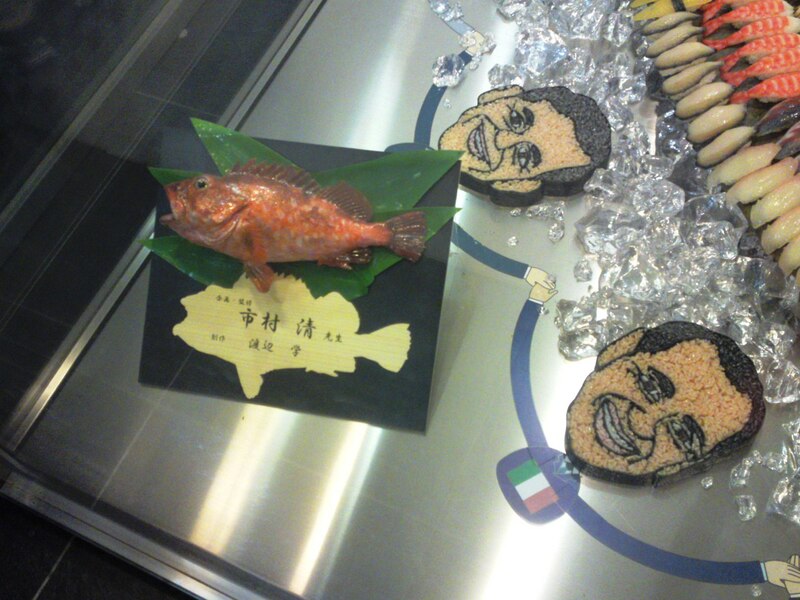 They also served cooked fish! 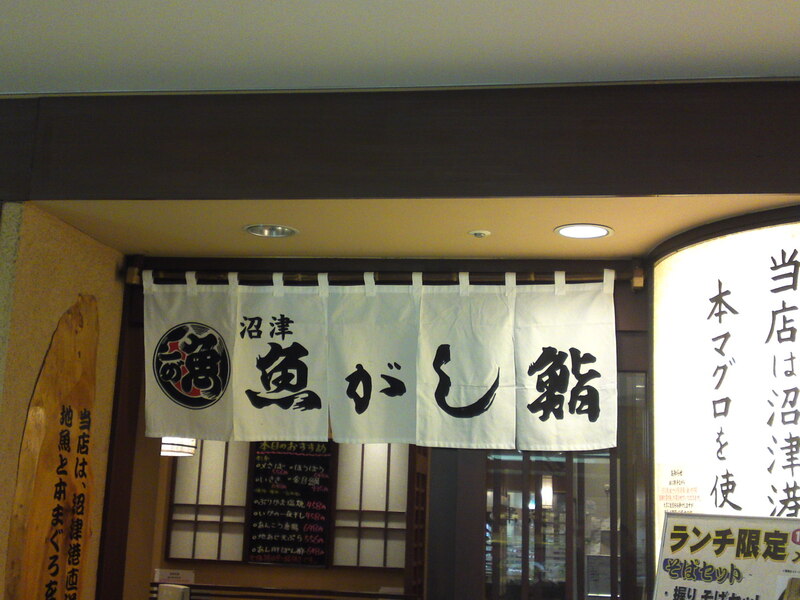 Uogashi opened its first restaurant in Numazu City! 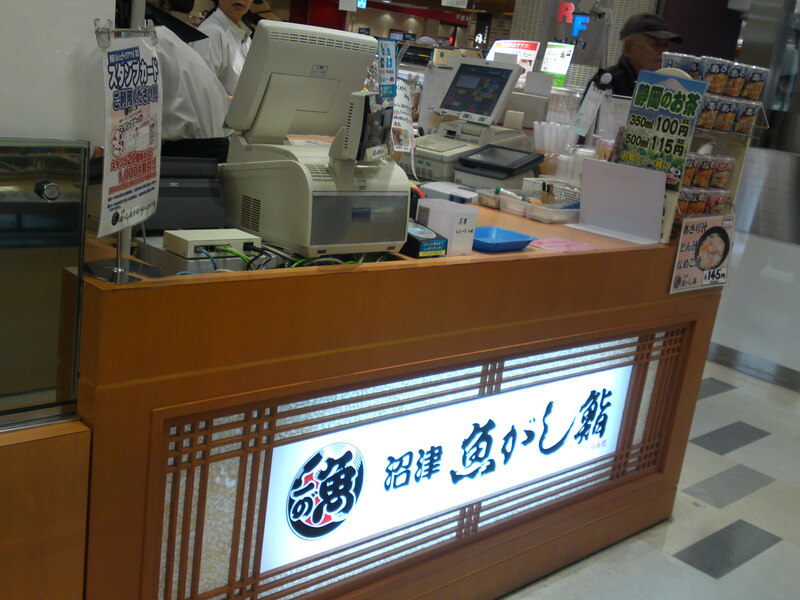 The cash register (you can pay by card, too!) 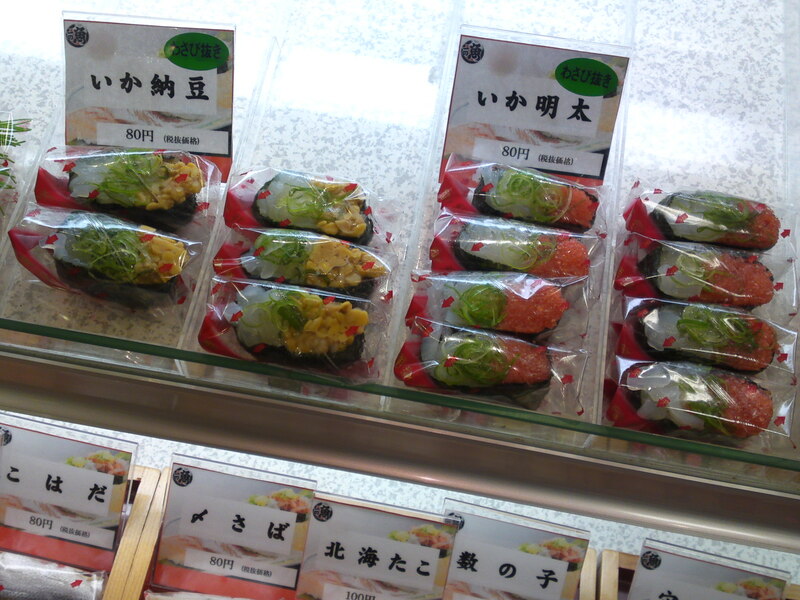 of Uogashi’s sushi stand inside the market! 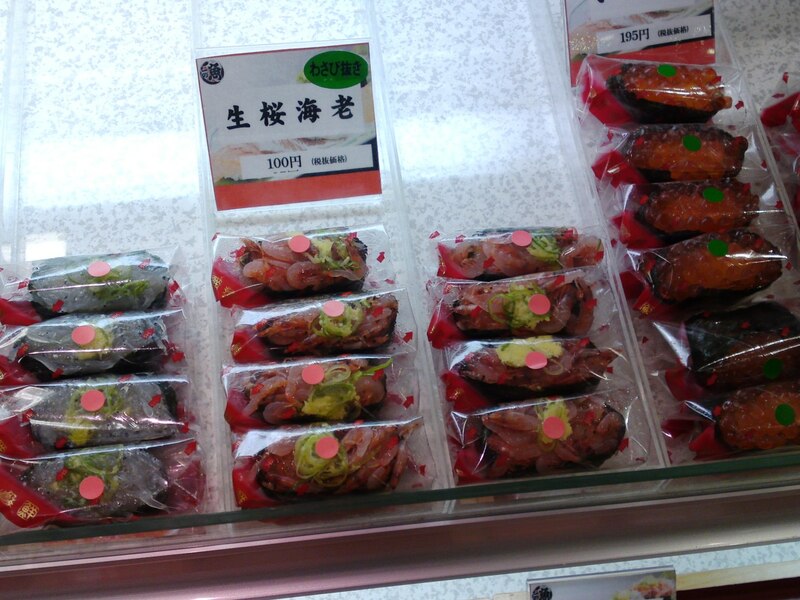 First take a box for 10 or 16 pieces maximum, tongs and choose your morsels! 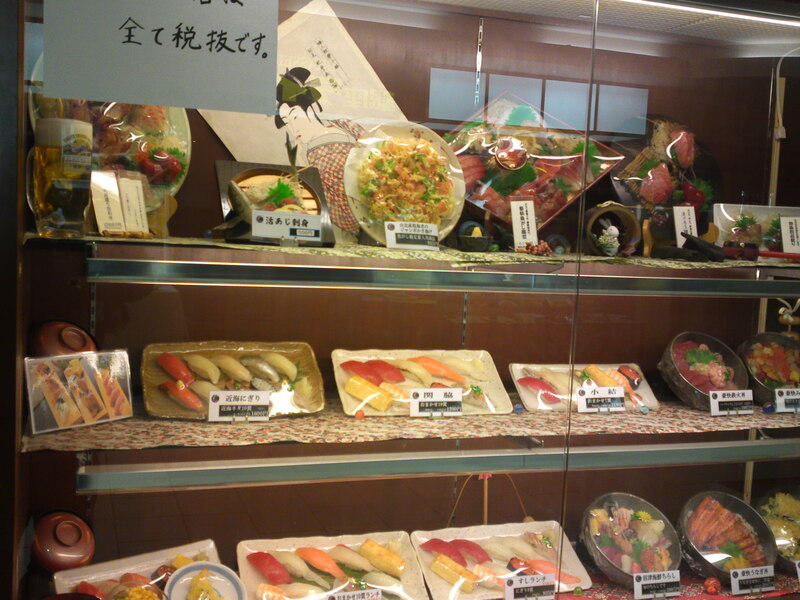 I couldn’t make good pictures of all as I said but I hope the pictures below will give you a good idea! 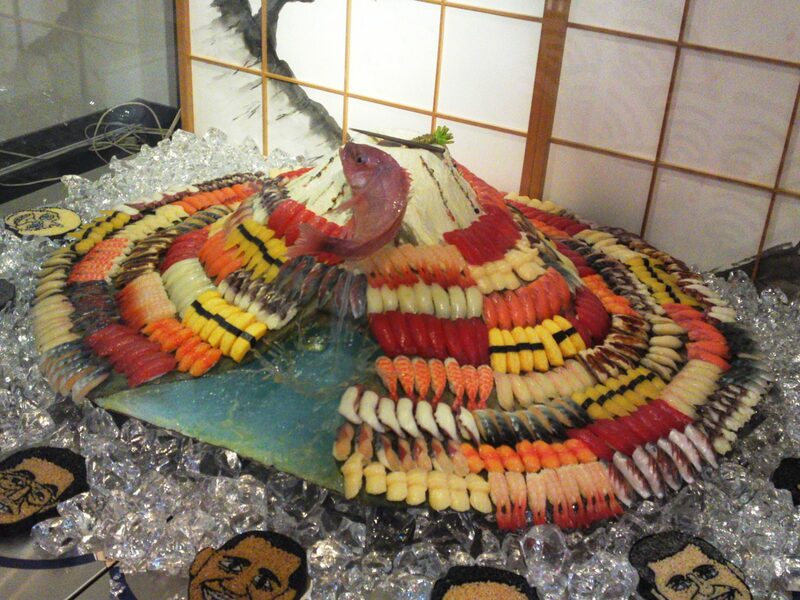 Ngitoro gunkan/grated tuna and Hokki/Sakhalin surf clam (found in Japan in spite of the name) Salad! 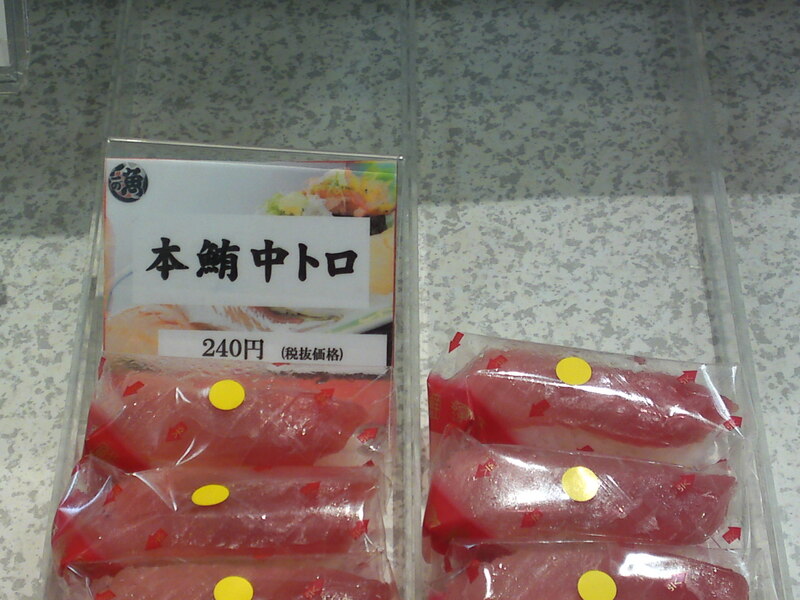 Tonbomaguro/Anther name for Binnaga/Albacore, a typical Shizuoka tuna! 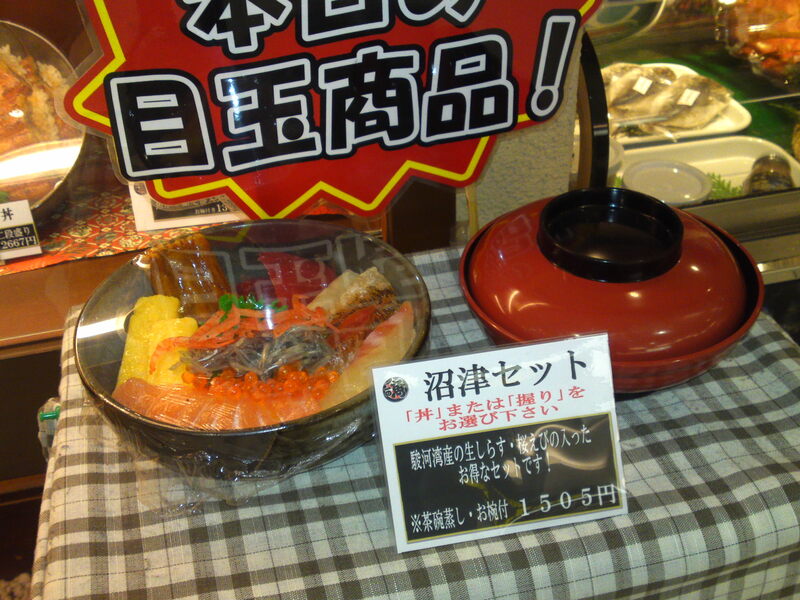 Kamaage shirasu/Cooked whitebait and Maguro Yamakake/ Tuna with grtaed Japanese yam! 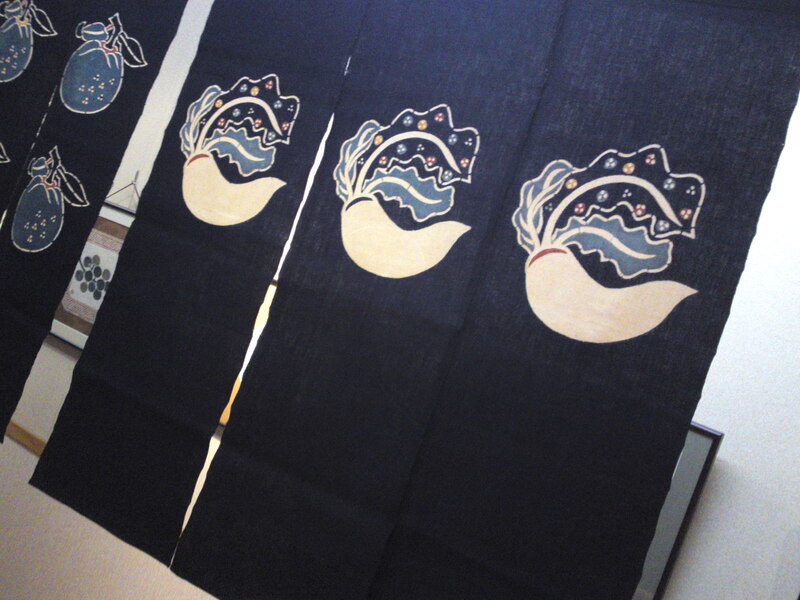 mebachi Maguro Akami/Big-eyed tuna lean part! 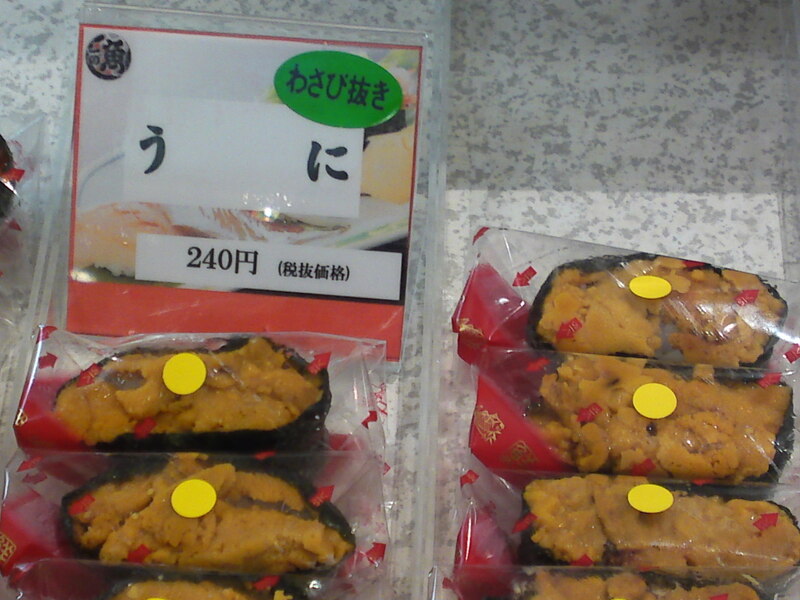 Ika Natto/Squid and fermented beans and Ika Mentai/Squid with spicy cod roe! 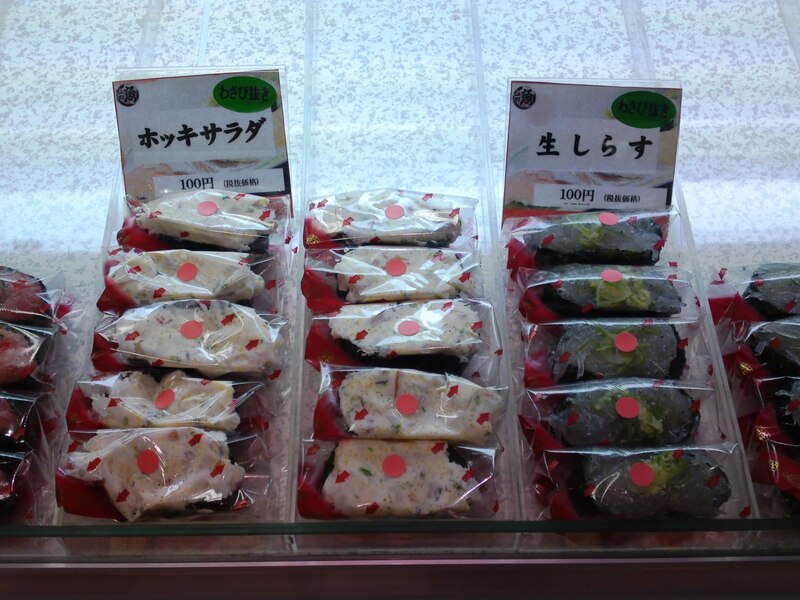 Kohada/Shad, Shimesaba/Pickled mackerel, Hokkai tako/North Seas Ocy\topus, Kazu no Ko/Herring roe! 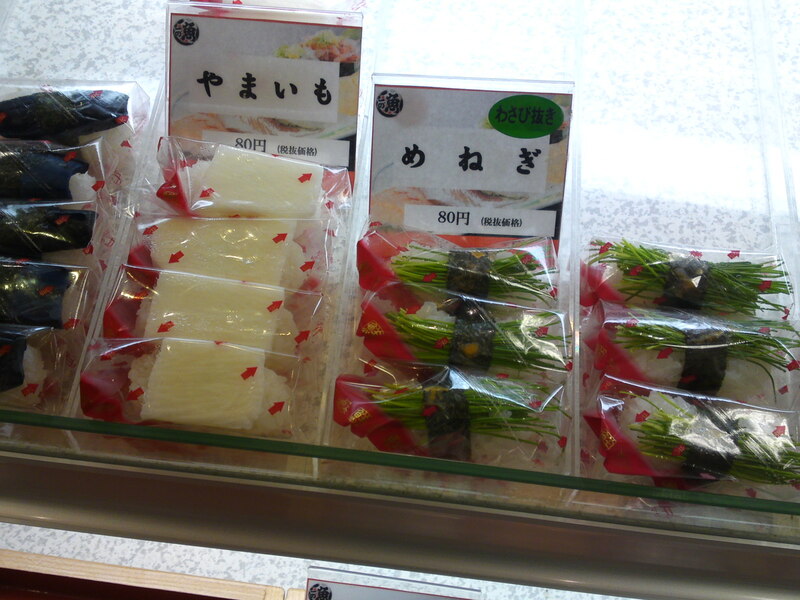 Yama imo/Japanese yam and Menegi/Leek sprouts! 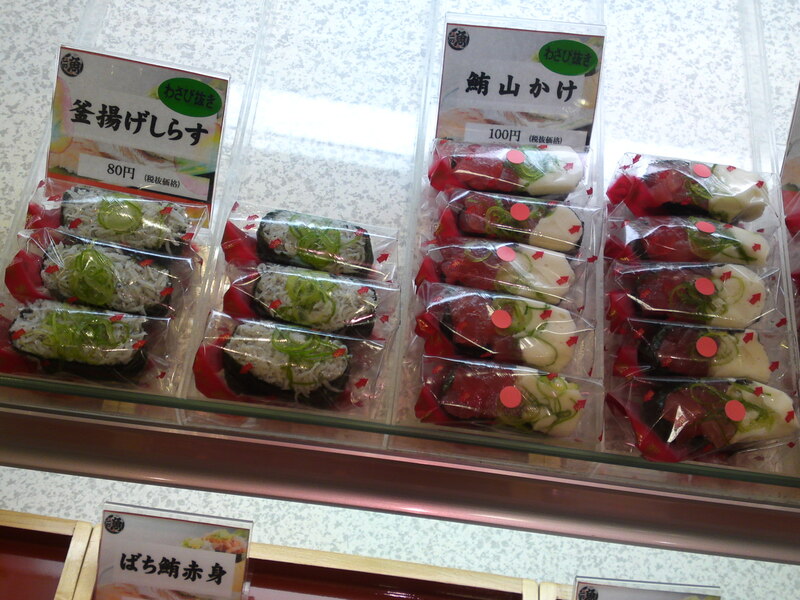 Ika/Squid without and with wasabi! 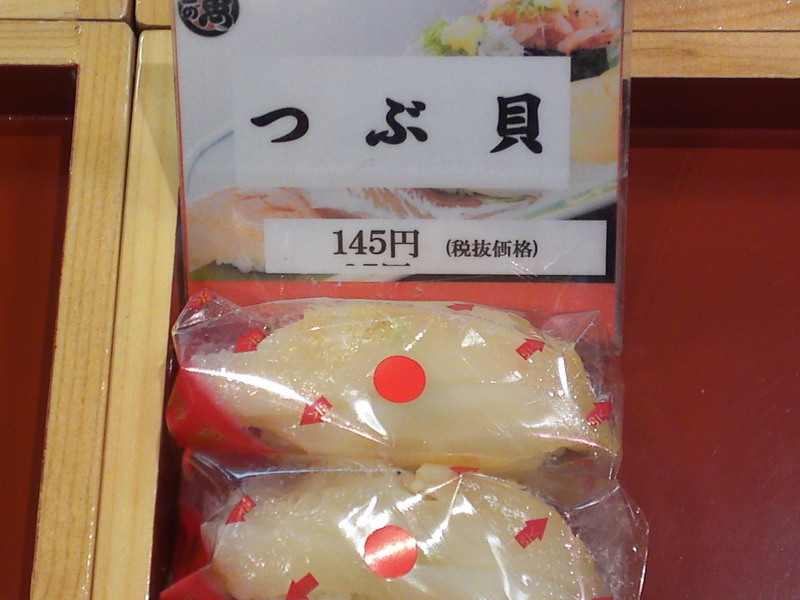 Hokki/Sakhalin surf clam salad and Nama Shirasu/Raw Whitebait! 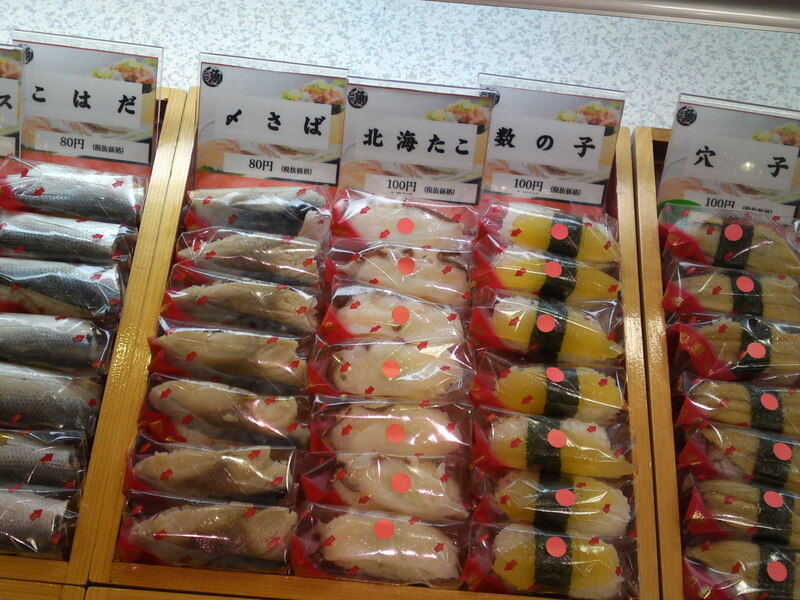 You will find fresh and raw only on Shizuoka Prefecture, unless you want to empty your wallet! 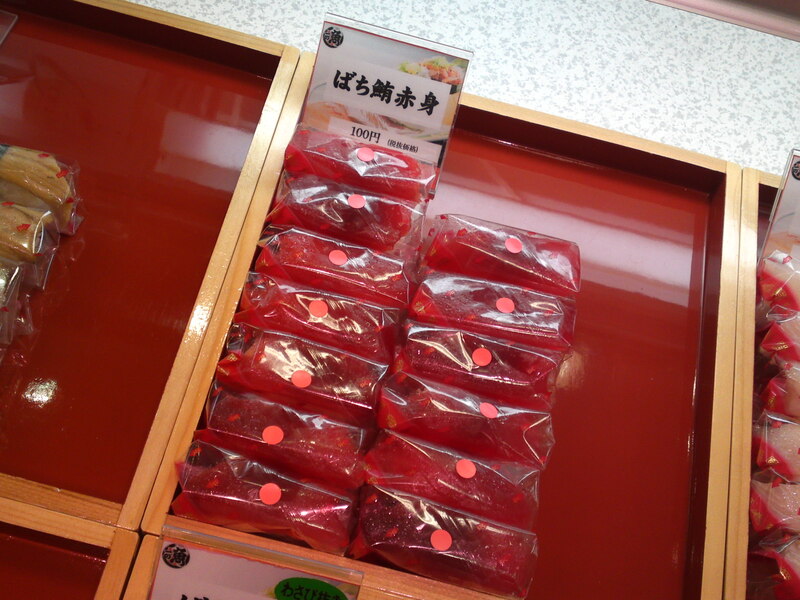 Honmaguro Chuutoro/Bluefin tuna semi-fat part! 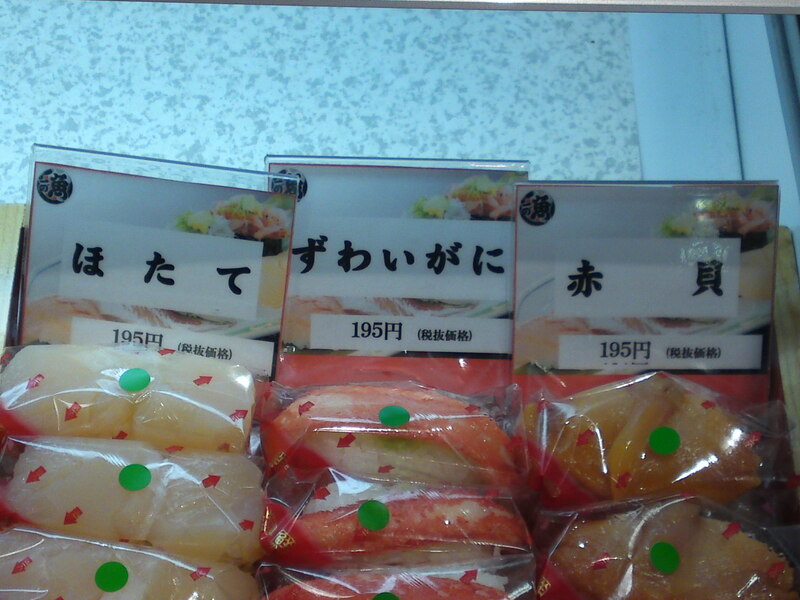 Hotate/Scallops, Zuwaigani/Snow Crab and Akagai/Blood shellfish!